Wossat? 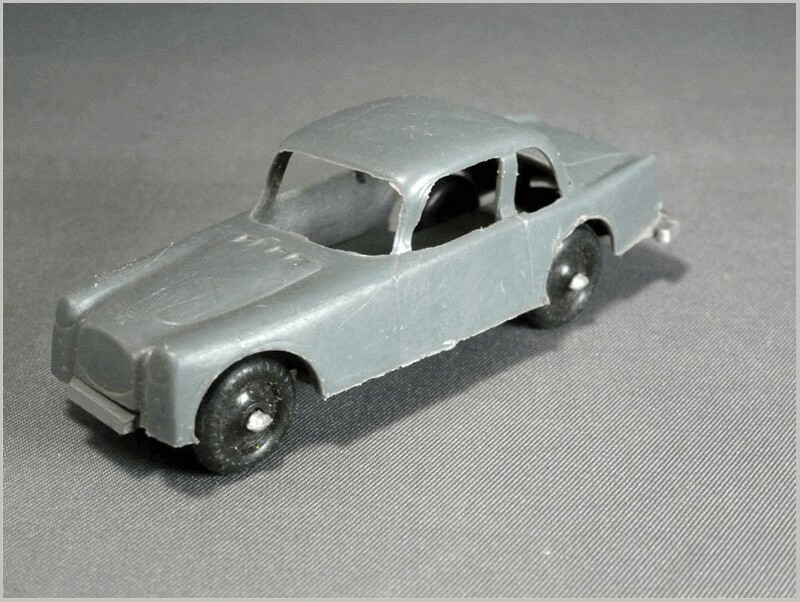 plastic Models – solved! Author and contributor text copyright. 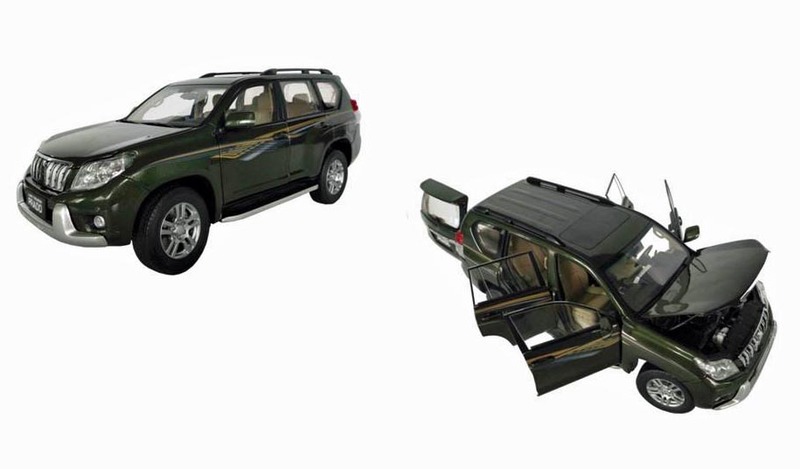 Images obtained from the Internet based on images of manufacturer’s art work, and photographs of models on website. Reader Sergio Lois Dos Santos has tracked down the models shown in the recent Wossat? article where your Editor had failed. And contrary to my speculation that they were too large to be cereal premiums they have turned out to be just that! Sergio found the answer on the fascinating cerealoffers.com website. 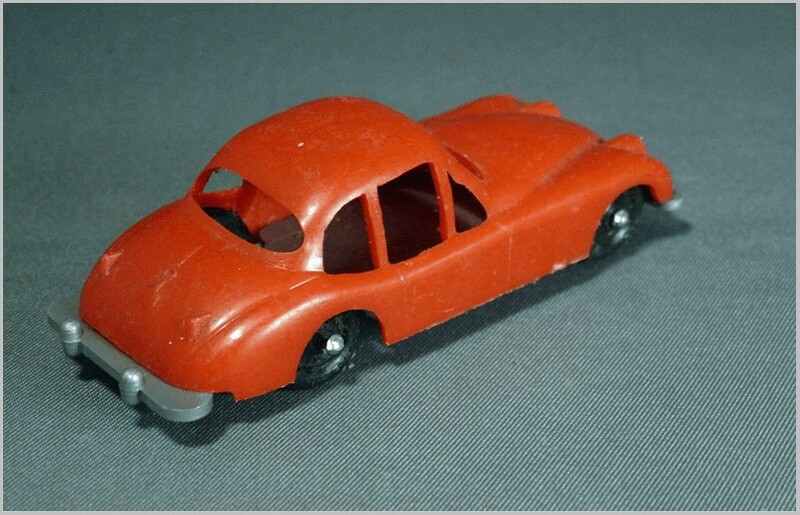 In 1961 Kellogs UK used six plastic sportscars as premiums. 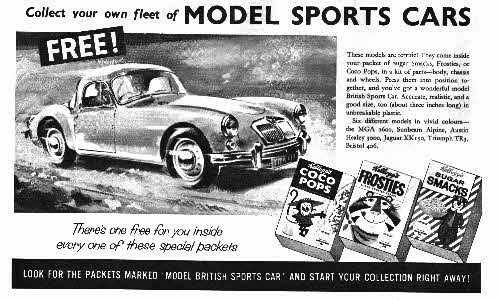 They were inserted into special Coco Pops, Frosties and Sugar Smacks boxes. Advertising for this promotion can be seen below. 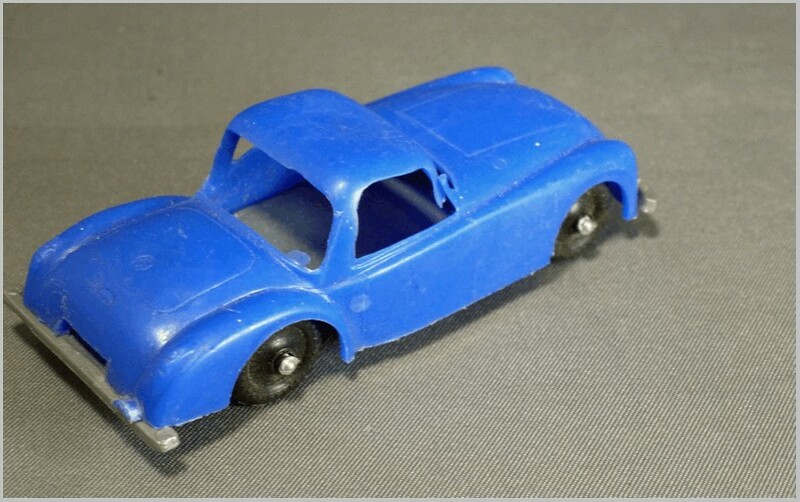 A set of six large plastic cars was used with clip together parts and moveable wheels were made in six colours: grey, white, green, dark blue, red and light blue. The name of vehicle was to be found on the underside: MGA 1600, Jaguar XK150, Austin Healey 3000, Bristol 406, Sunbeam Alpine and Triumph TR3. 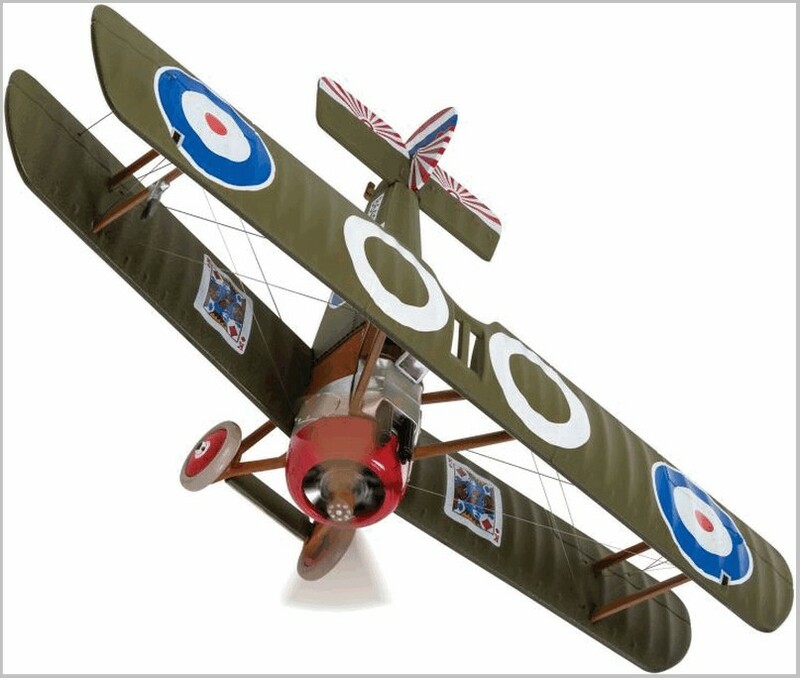 So that sets the Editor a challenge as there are two models that are missing from his collection. These are shown below. I recently acquired some plastic models. All approximately three inches (7.5cm) in length. 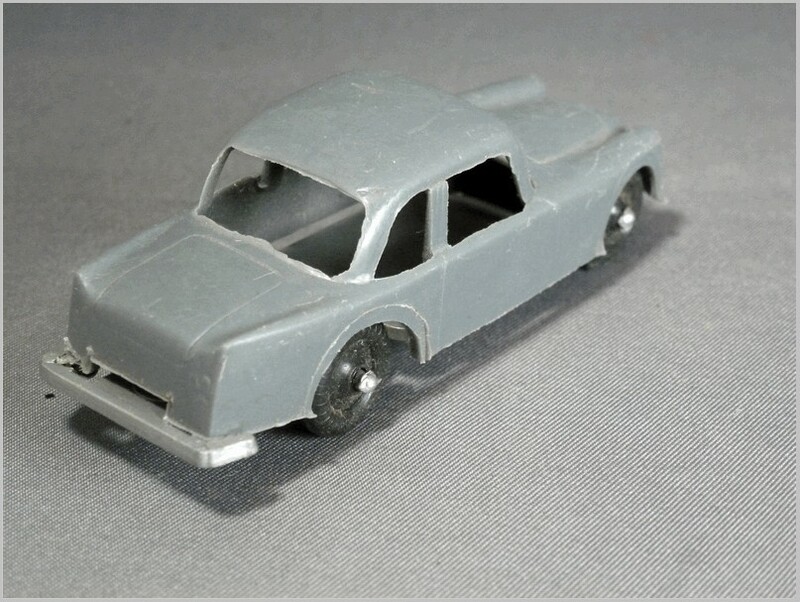 The upper portion is moulded in a soft plastic whilst the lower section is in a harder grey plastic. The upper part has four small lugs moulded in that fit through holes in the chassis and the lug is then moulded into a cap to retain it. 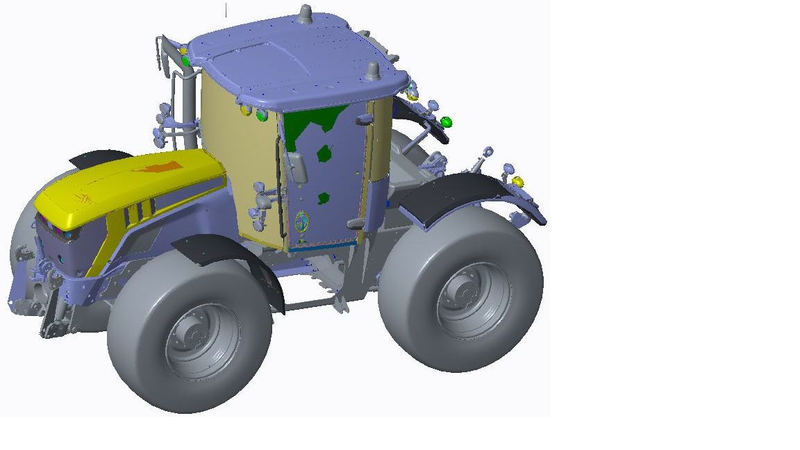 The wheels are plastic mouldings and they attach to four lugs extending out of the chassis which are again moulded into a cap shape to retain them. 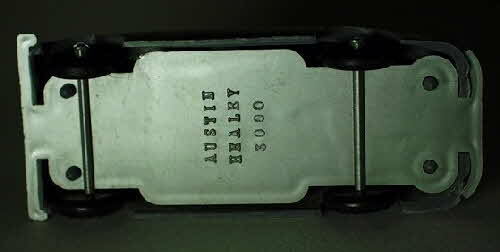 The name of the vehicle is moulded into the base, in some cases it is part of the mould and in others the lettering has been pressed in by a hot tool. There is no manufacturer’s markings of any kind that I can see. 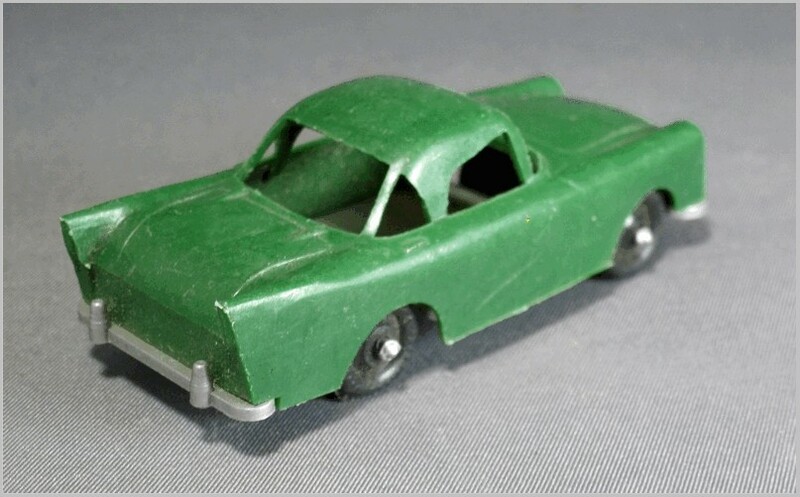 I have no idea who made these toys and having exhausted my reference works I am asking you, our readers, to identify the maker and tell me when they were made, and where if you can! 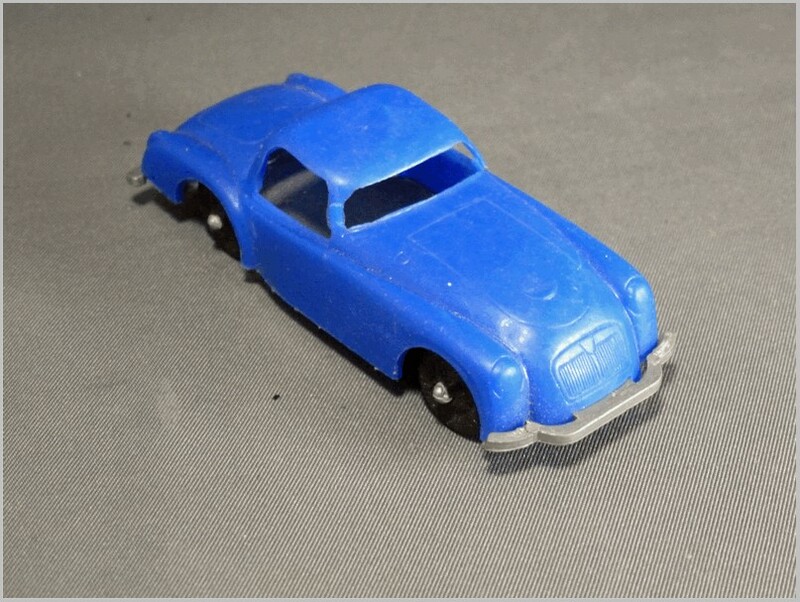 Rather a caricature here with the front end being pretty inaccurate it obviously represents and earlier series Alpine with the larger rear fins and split window top. The Series One Alpine was made from 1959 to 1960. 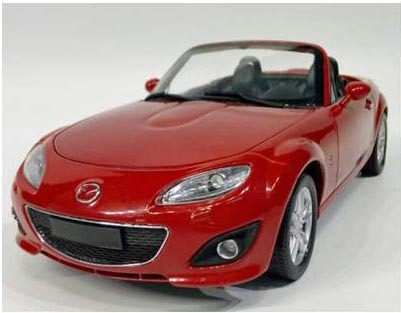 Again not very accurate as a model, lacking the characteristic front air intake. And sadly it has lost the ends of the front bumper as well. 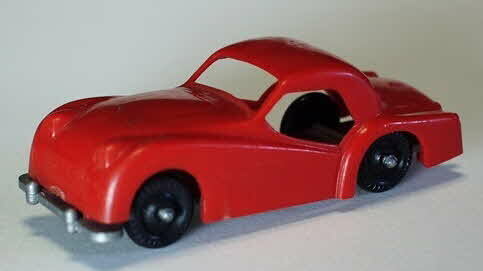 But apart from Spot On who else made a Bristol model.? The 406 was introduced in 1958. May 1959 the MGA 1600 was introduced to replace the previous 1500cc version. 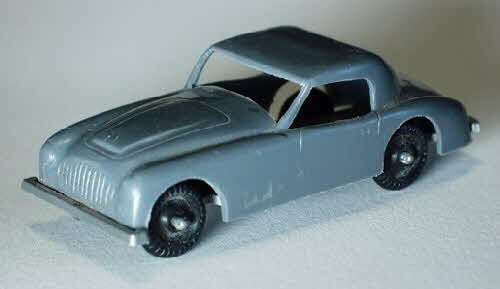 Here there has been a little more effort at capturing features of the real car with quite a good representation of the MGA Grille moulded in. The wrap around rear screen of the coupe is also included although being unglazed it looks a little strange. Recognisably an XK 150 Coupe even with the hugely over high side windows. 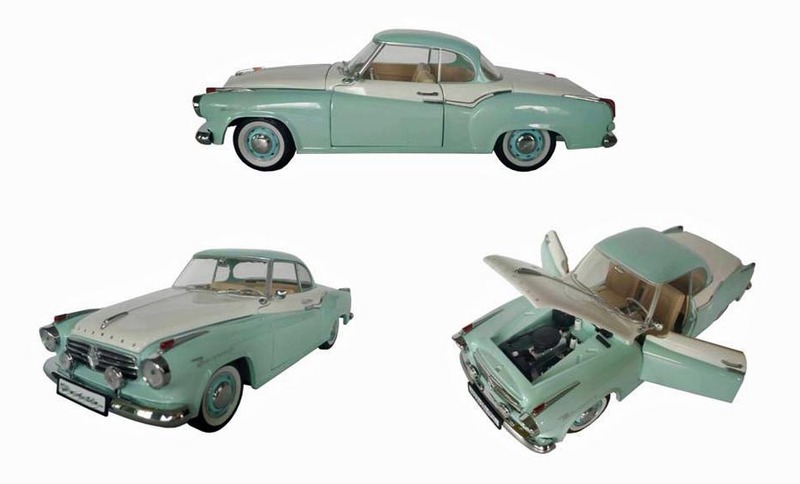 Another vehicle introduced in the late 1950s, 1957 to be precise. Like the MG there is some detail captured such as the 150s chrome strip to the number plate area on the boot and a moulded in Jaguar radiator on the front. I am sure someone must know who made these. 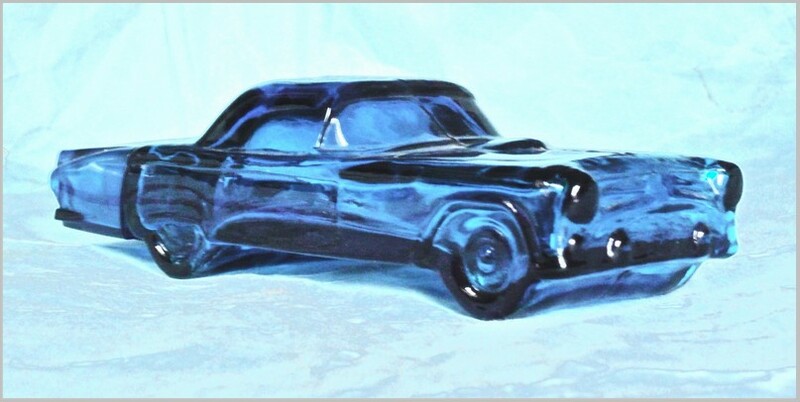 I suspect they would have been produced at the start of the 1960s reflecting vehicles current when the model maker made the master for the moulds. They look too large and finished for cereal premiums and rather smaller than many of the cheap plastic models of the time. Were they sold as a set or with some other model? I will be fascinated to hear from readers. 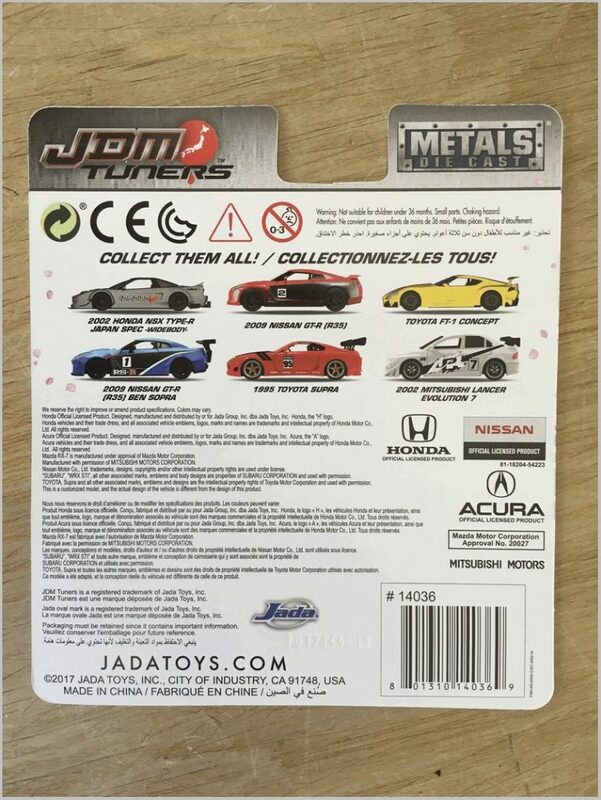 On sale at Walmart in Canada and the US is a Jada Toys (jadatoysinc.com) series called JDM Tuners in roughly 1:60ish scale. 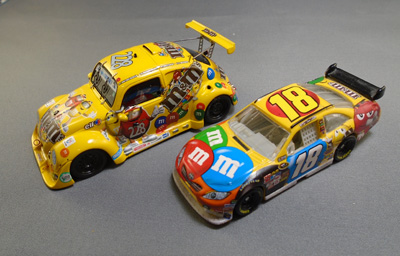 It is a series of Japanese high performance cars liveried in different tuner styles, which may or may not be fictitious (see photographs below). 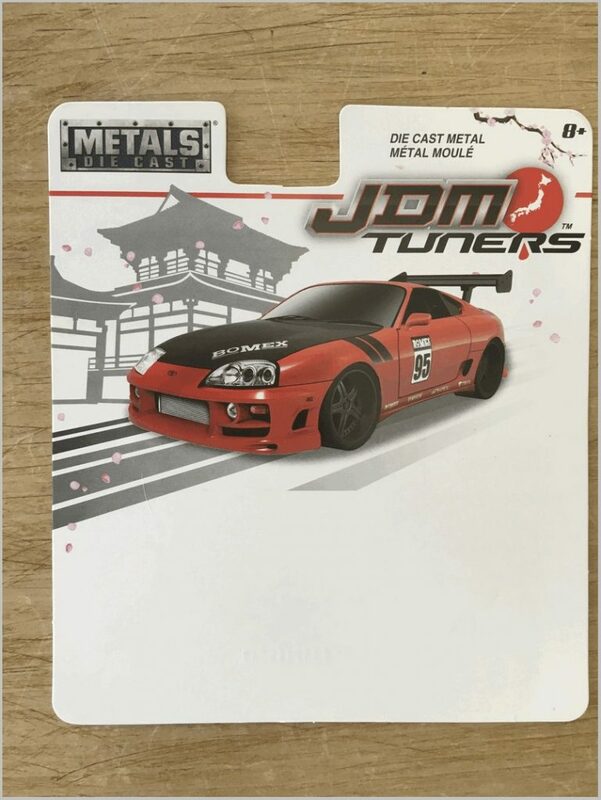 ‘JDM Tuners‘ is a registered trademark of Jada Toys Inc, but is remarkably close (not by accident, I’m guessing) to JDM Legends (jdmlegends.com) of Salt Lake City, Utah. JDM Legends specialises in restoration and importation of full size Japanese Domestic Market automobiles. 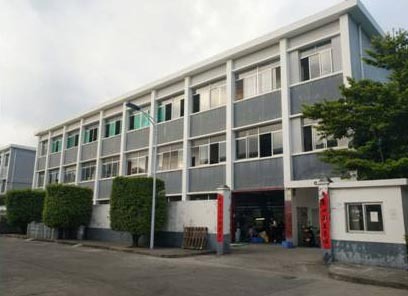 They were founded in 2008, and currently have a popular reality television show (less the silly dramatics of most reality shows) which details projects in progress. Jada’s JDM series has been around for two years, and I have seen five separate releases, all numbered the same, just to confuse things. 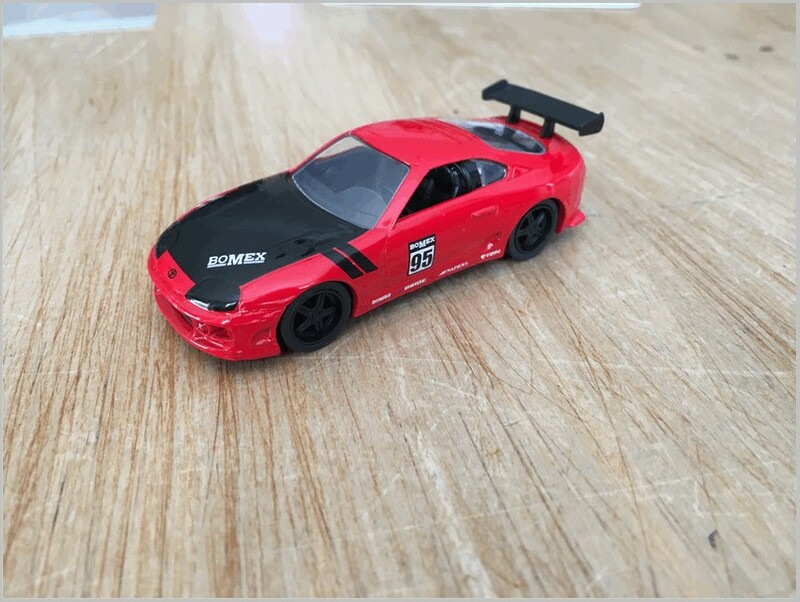 I have only picked up the Toyota Supra models which include silver, metallic grey, white, metallic blue, and this red one. 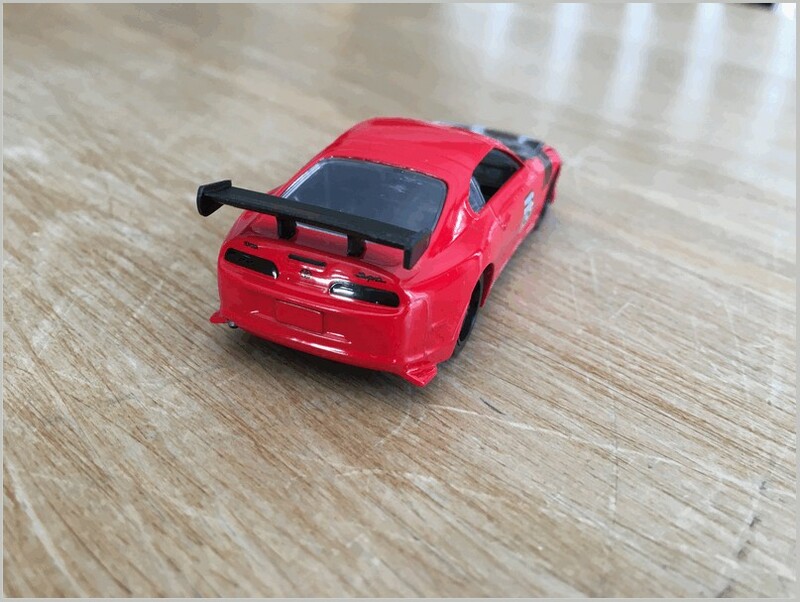 Jada prints licensing details for Honda, Acura, Mazda, Mitsubishi, Nissan, Subaru and Toyota on the back, but not for any of the Tuners names they use, hence my suspicion that they are fictitious. I have yet to see either a Mazda or a Subaru in the series. Aside from the vehicles shown on the back of the card in the photo, there are also different versions of a 1986 Toyota Trueno (AE86), 1973 Datsun 510 Widebody, 1971 Nissan Skyline 2000 GT-R (KPGC10), and a 2002 Nissan Skyline GT-R (BNR34). The Supra has appeared in all five issues, with both wheel and rear spoiler variations, and similar variations appear with the other castings as well. 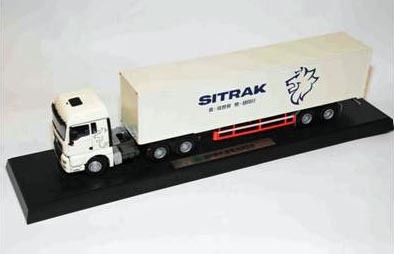 Generally the models are well made, with diecast body and base, rubber tires on realistic wheels, superb paint and flush glazing which would put many 1:43 scale collector models to shame. The Supra features a well detailed interior including a roll cage, emphasising the sporting intentions. These retail for less than $6.00 Canadian (or about 4 pre-Brexit UK pounds) so are good value, but economies have to be exercised somewhere, and that means tampo printed head and taillights, black for all the Supras. 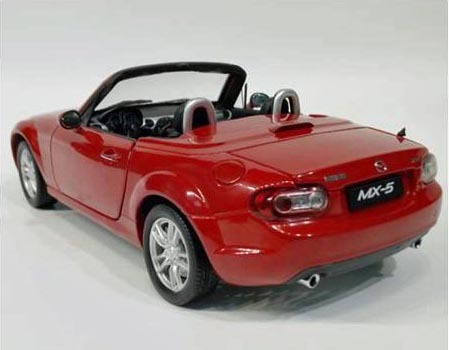 The shape of the body is pretty good, but the roof is too flat when compared to really accurate 1:43 scale Supra models, and this definitely detracts from the beautiful lines of this 1990s supercar. Having given my MAR Online Editor business cards to several Chinese companies at the London Toy Fair earlier this year I have had emails from Chinese companies eager for me to buy their products or to use their services. These are usually dry business circulars but one recently sent to me is full of pictures and information. 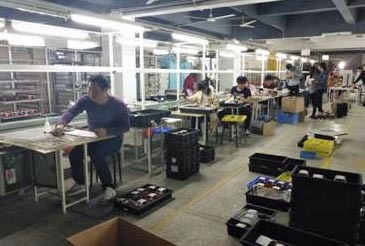 Given the veil of secrecy that covers the production of models in China I think a look at the story they tell will be of interest to many of us who wonder where, and how, our models are made in China. 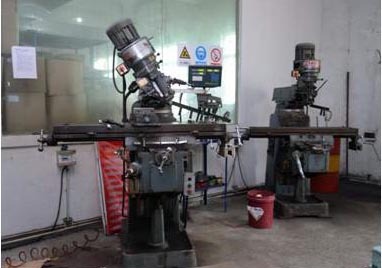 The companies name is TongTong Renhe which was founded in 2003 as a precision model maker and which operates under the TT brand. 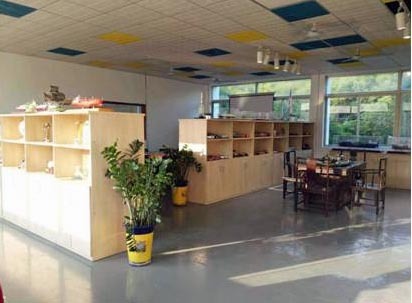 They are based in Shenzen Dapeng New which is part of the attrractive coastal Longang District in Guandong. 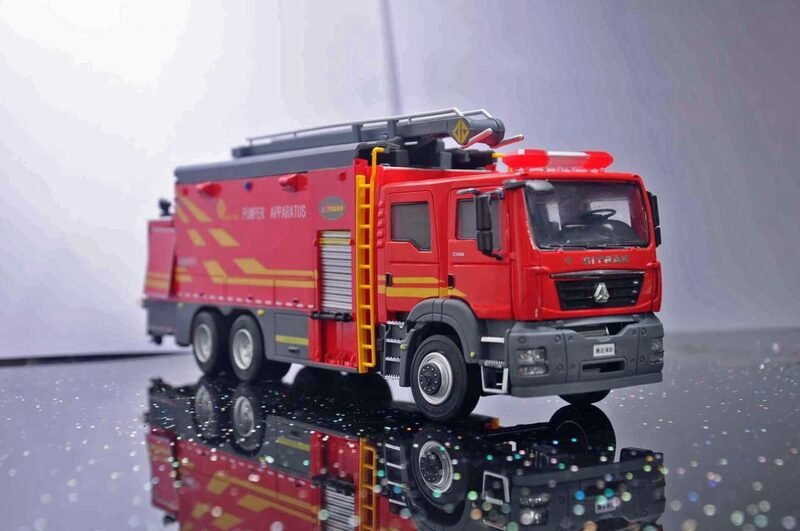 They offer all stages of model making from research and development, through 3D design and mould making, to final production, They seem to mainly focus upon cars, container lorries, and fire trucks but that is not all that they produce as shown later. Based in a pretty typical medium size industrial unit. 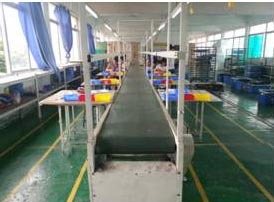 The pictures shown below were provided by the company and show carious aspects of the factory unit. The unit is clearly not in use when the photographs were taken and the operatives look like they have been included for effect, the person spraying is doing so with an empty spray gun for example! 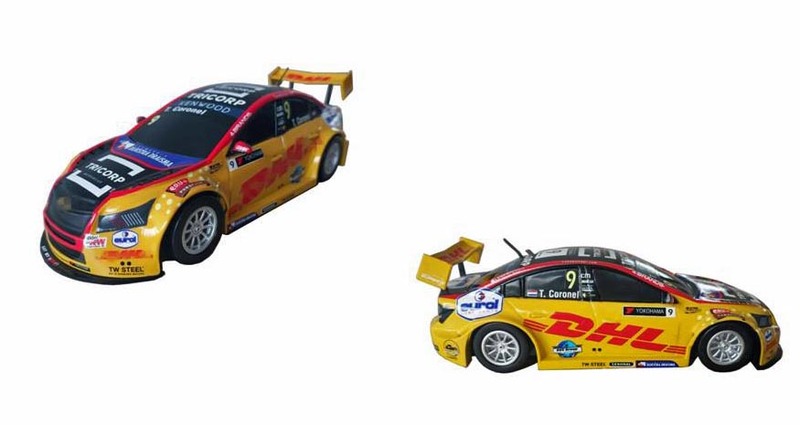 1:43 Scale WTCC car surely produced for European brand. 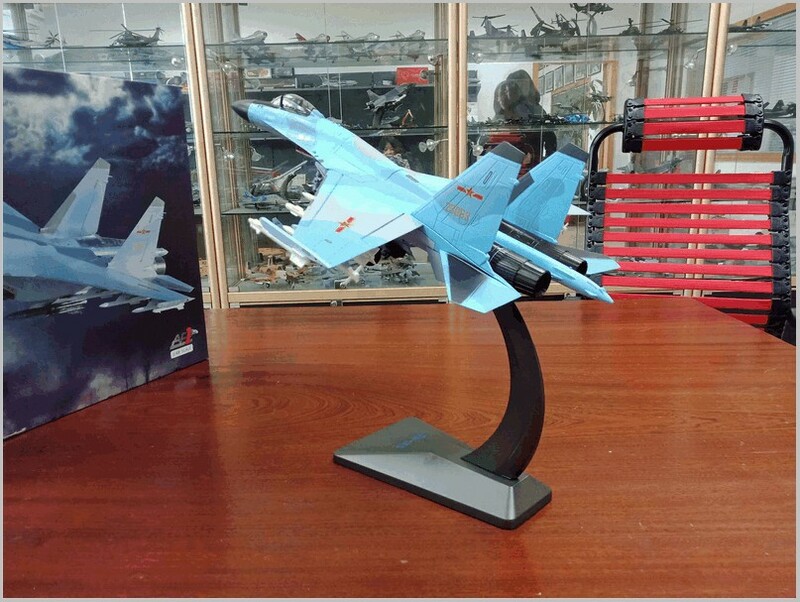 The only product bearing a recognisable emblem is the Fighter Aircraft which has a box with the AF1 logo on it. 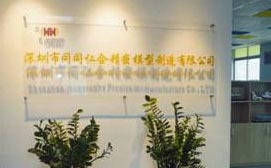 Yet AF1 are a separate company also based in Donguan, perhaps they subcontract work to TT from time to time or there are other links. 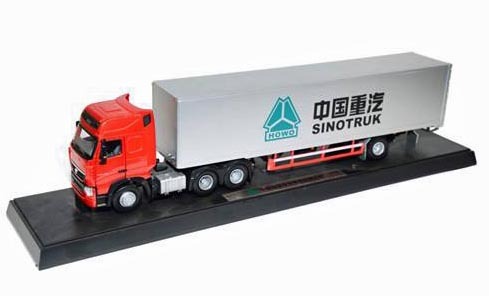 Although many of the models are obviously aimed at the home market, and in particular the executive offices of those running trucks, ships and other vehicles, they are also clearly intent on selling models abroad with overseas partners. 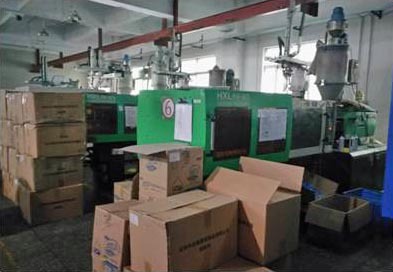 It is interesting to see where our models are made and this type of contractor is the source of many of our models. 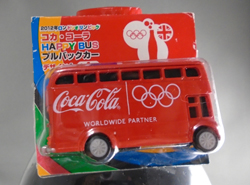 The large number of new western brands of 1:18 scale metal models would not exist without such firms being able to develop and produce models to fit into a branded box sold by a Western firm..
2012 London Olympic Coca-Cola HAPPY BUS Pull-Back Promo Cars. All text and photographs by, and copyright of, the Author. Translation from Japanese by Fumiaki Ishihama. 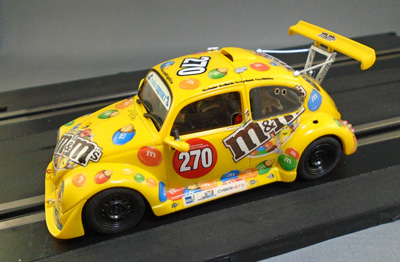 The previous two articles about Coca-Cola Japan Promotion Campaigns, entitled “2005 Coca-Cola VW New Beetle Pull-Back Promo Cars” and the “2016 Coca-Cola Delivery Miniature CarCollection“, featured Coca-Cola liveried miniature models of various delivery cars, trucks and vans, in small sizes all promoted in conjunction with Coca-Cola drinks. 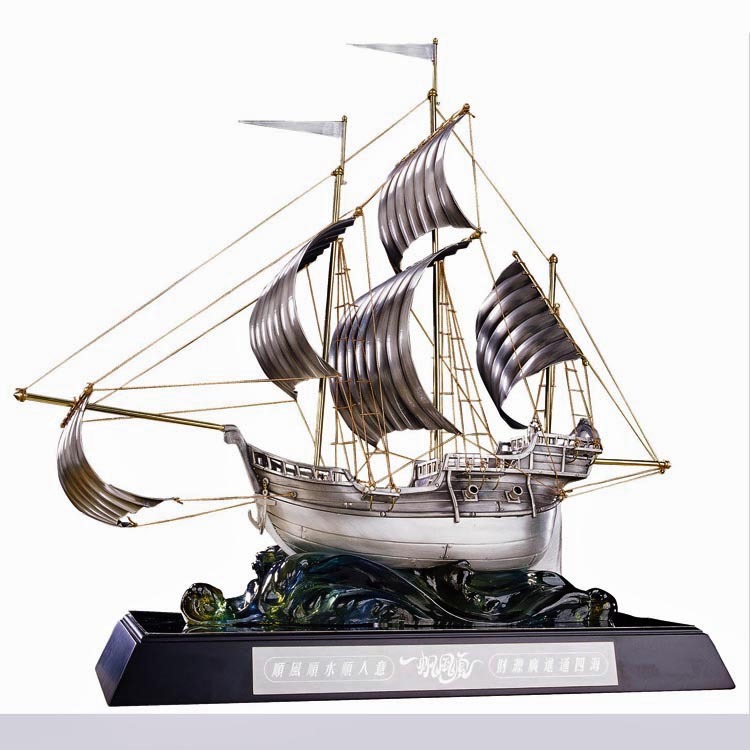 The models were made in China, to no particular scale, and exclusively for Japan’s Coca-Cola Promotion Company. 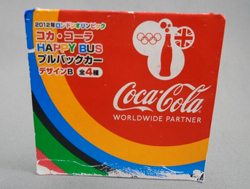 Combining the promotion of 2012 London Olympic Games with Coca-Cola Drinks, the Coca-Cola Japan Promotion introduced a promotional campaign called “Happy Bus“, which featured the famous Red London Double-Decker Bus. (The Red Double-Decker buses in London have basically become a national symbol of England.) 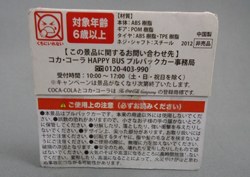 For a limited time, the Happy Bus were produced as a give-away item with the purchase of a bottle of Coca-Cola drink from local convenience stores. 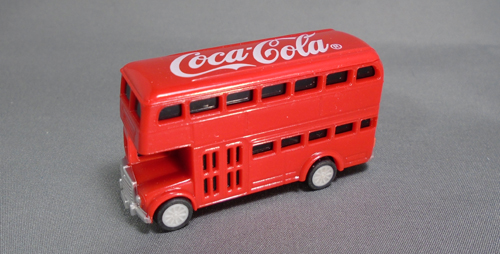 The miniature London Double-Decker Buses were exclusive to the Coca-Cola Japan Promotion Company and not available on any open model car market in Japan, the USA, or rest of the World. As such, the individual buses are very hard-to-find and the complete sets are rare. The “Happy Bus” promotion consisted of 4 identical London Double-Decker buses (design A, B, C, and D), moulded in dark red ABC resin, and set apart by four different sets of, tampo printed, decorations of the Coca-Cola, 2012 London Olympic logos, slogans, Union Jack, Coke bottle/bottles and other signs. Only the right side and top of the buses were decorated. The left side has the upper and bottom sides of windows and the entrance door at the front of the bus. 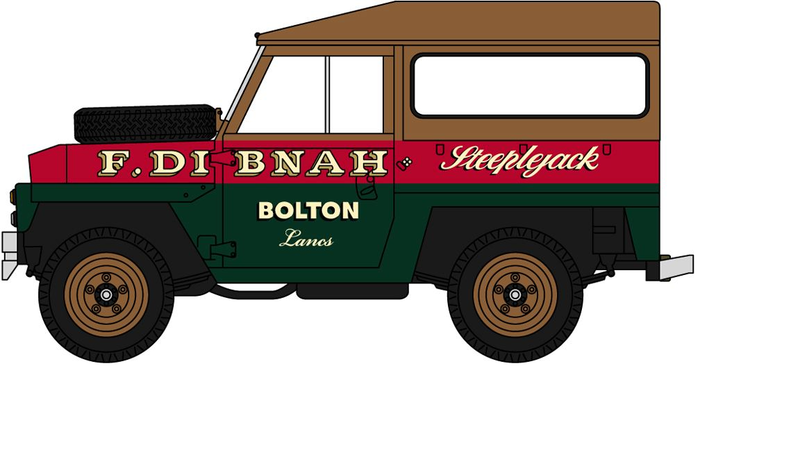 The basic design of these models interpreted and captured the visual character of London Double-Decker Bus quite well, including the moulded-in and painted details, which include the front and rear bumpers, license plates, grille, front and rear lights. 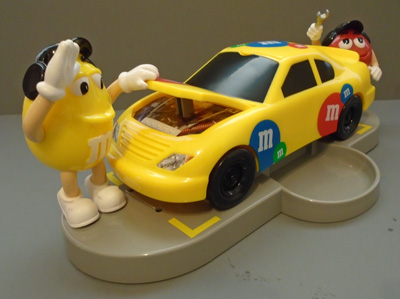 The models were powered by a “Pull-Back” motor. 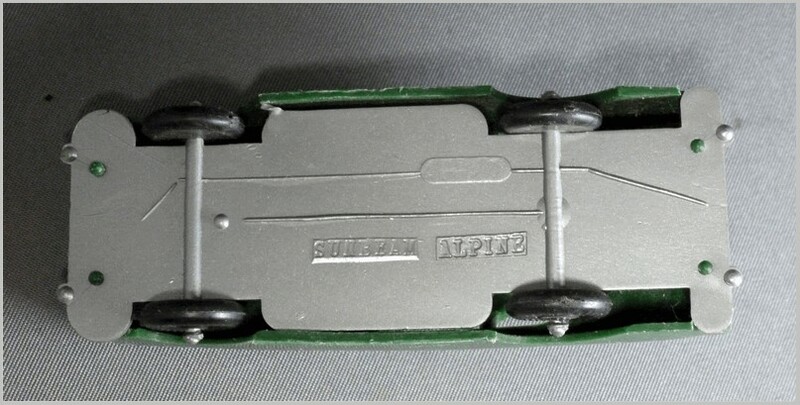 The identification of each car was moulded into the baseplate – (Coca-Cola, HAPPY BUS, and the design A, B, C,or D). All models had blackout windows, and were made in China to no particular scale. See the size of the “Happy Bus” in comparison with the size of a US Quarter coin. The four London Double-Decker Buses were inserted in clear blisters (shaped to confirm to the shape of bus) in order to be clearly seen when on display. Using folded tabs, the blisters were attached to the front of the cards (identical for all four buses except identification of the design). 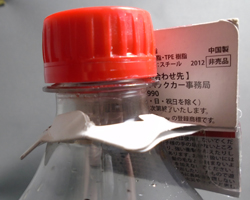 The card itself was then folded in such a way that the ends formed a holder by which the carded “Happy Bus” slides around the neck of the Coke Bottle. Olympic Rings, Coke Bottle and British Flag. On top of the back side of the card, under the “ache face” is a line that clearly states “Do not put in mouth“. Adjacent is a red square, “For age over 6“, and next to that is a list of the materials used to make the Happy Bus. 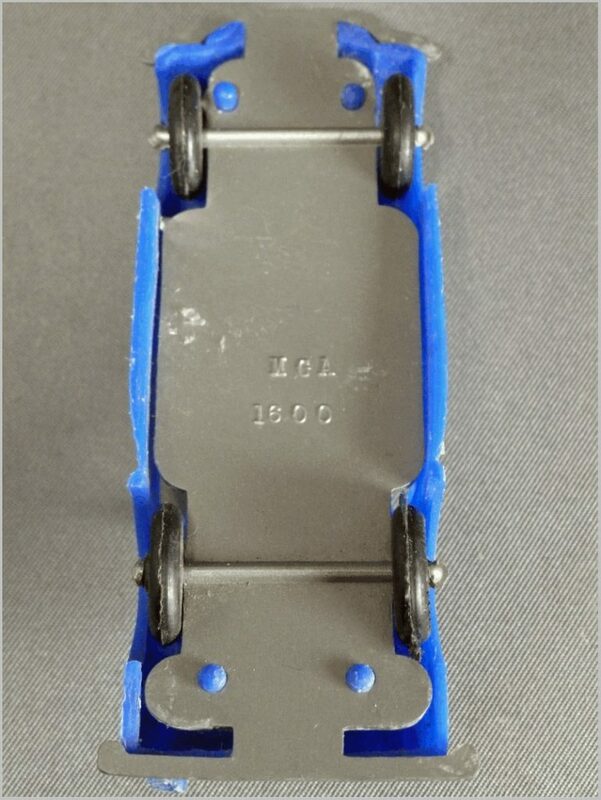 These include the Body: ABC resin, Gear: POM resin, Tires: ABC resin / TPE resin, Screw / Shaft: Steel. Coca-Cola HAPPY BUS Pull Back Car Office. Available hours: 10:00-17:00 (except Sat, Sun, National Holiday). This campaign ends after item is no longer available. 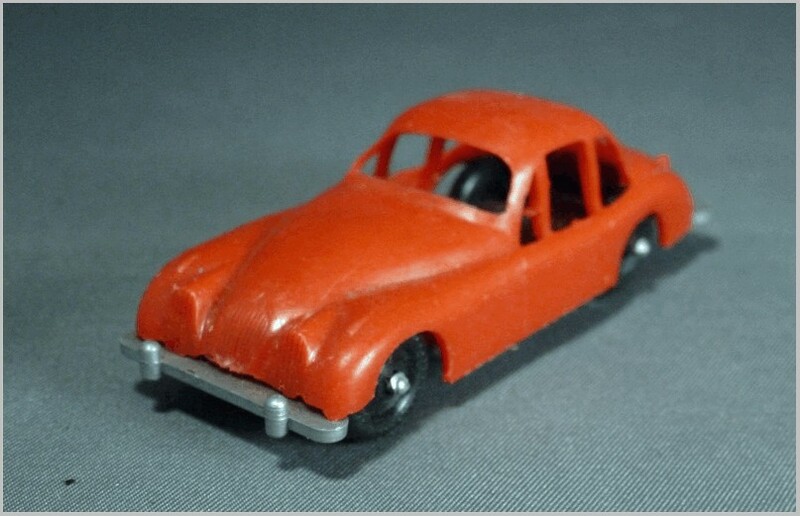 1st black circle (bc) indicates: This item is pull-back toy car and it is not intended for any other application. 2nd bc: Keep out of reach from small children to avoid risk of accidental ingestion. 3rd bc: Never disassemble, drop or throw. 4th bc: Handle with care to avoid injury from sharp edges. 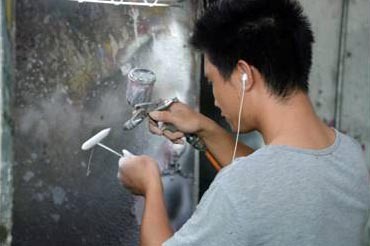 5th bc: Avoid contacting the rotating wheels with hair or clothing in order prevent tangling. 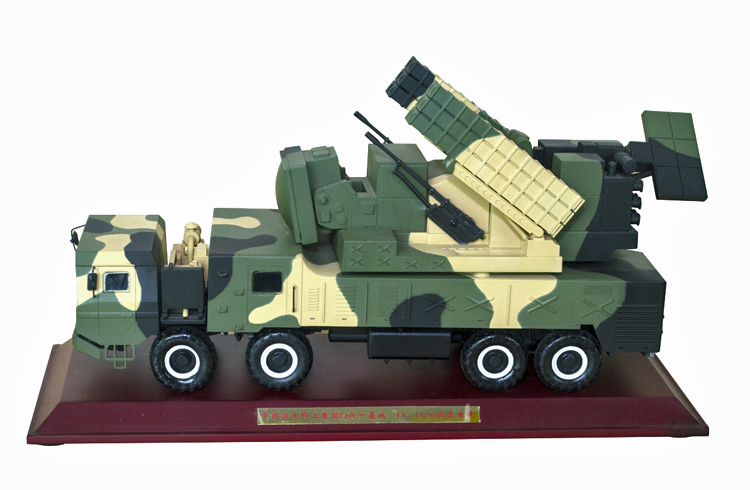 model, as it will lead to damage. 7th bc: Do not play with toy, if damaged or deformed. 8th bc: Do not place to near heat for extended periods of time as it can cause injury, damage, or deformation due to the hot temperatures. These miniature models of the Red London Double-Decker Buses would make a great addition to any collection of Red London Double-Decker Buses. Text by, and copyright of the Author. 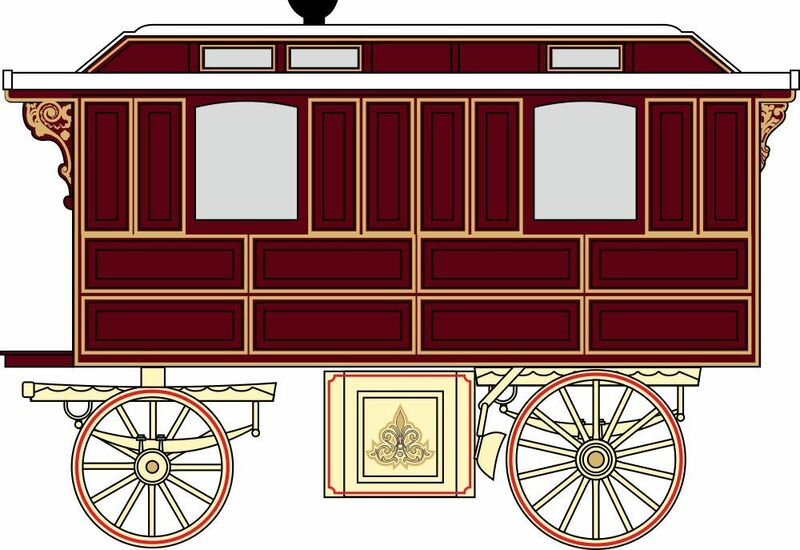 Illustrations provided by Hornby Hobbies. 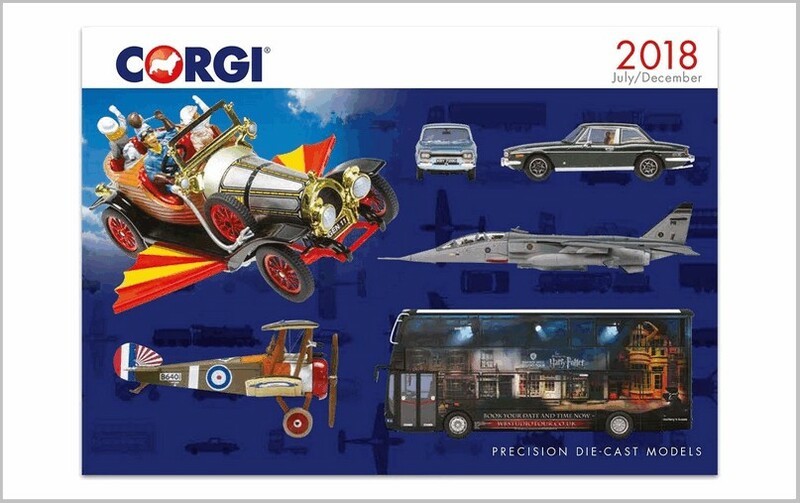 Hornby Hobbies has recently announced the Corgi products for the second half of 2018. There are no new castings and little sign that any major changes being made by the new management team. Perhaps we will start to see those in 2019? 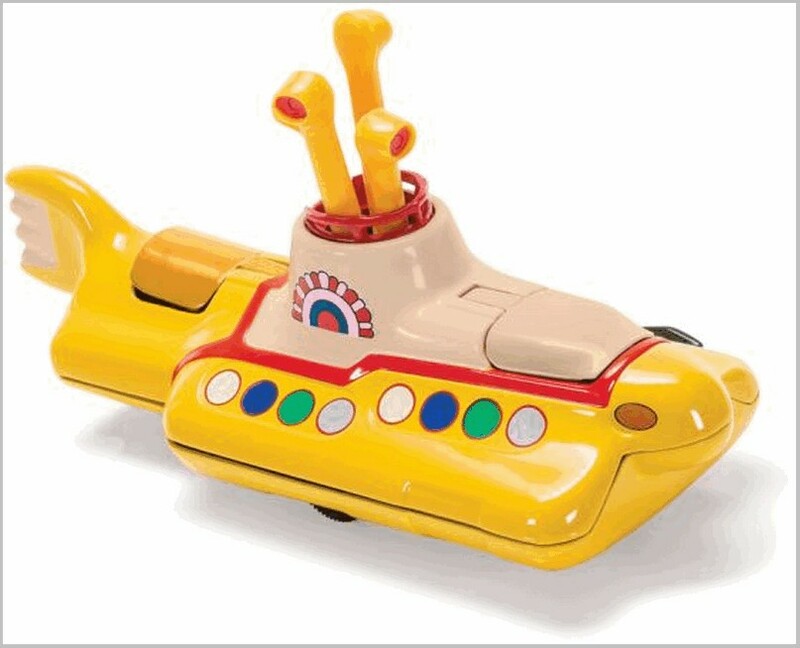 Though the fact that prices are not being significantly increased shows that Hornby are finally realising that the market for their models is price sensitive. The sales of the film and TV tie-in products from Corgi are substantial and the products are carried by a wider range of retailers. 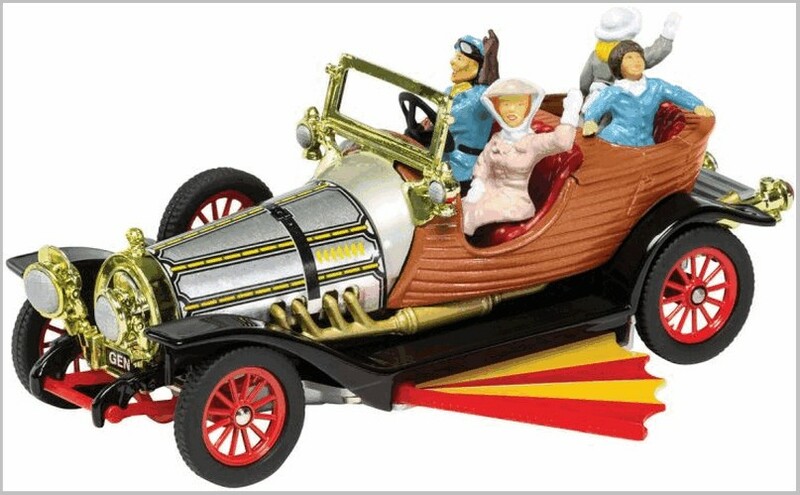 Of recent years the emphasis has been on reproductions of earlier James Bond models but this time the models celebrate 50 year anniversaries of two films: Chitty Chitty Bang Bang and Magical Mystery Tour. 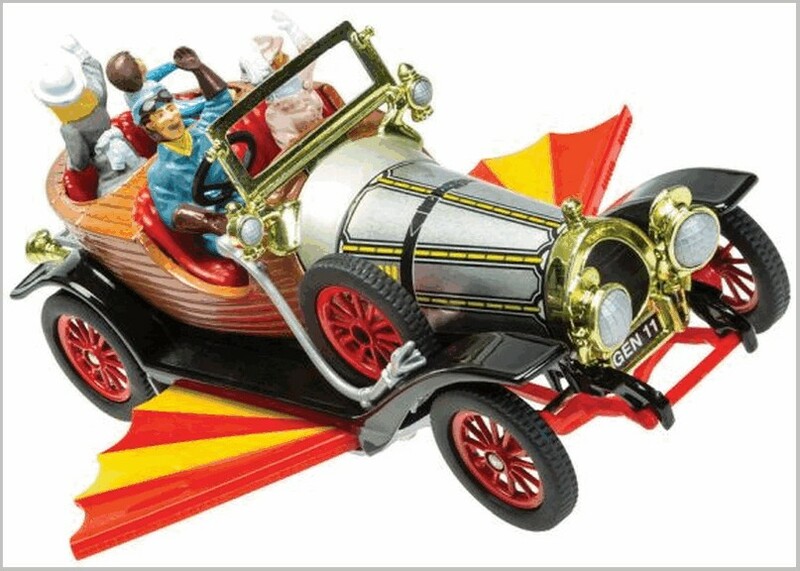 I am sure that Beatles fans the world over will buy the re-released models and that the Chitty will sell in respectable numbers as nostalgia for childhood and for the films of the late 60s is still strong. Paddington Bear Figure. 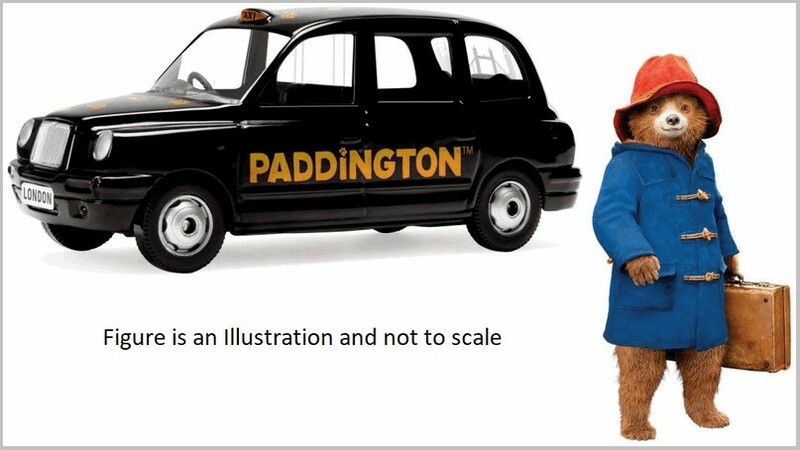 This will certainly be a good tie-in but Hornby need to be quicker with negotiiating deals like this Paddington 2 has already been released so the model is coming along a bit late to catch the maximum sales. 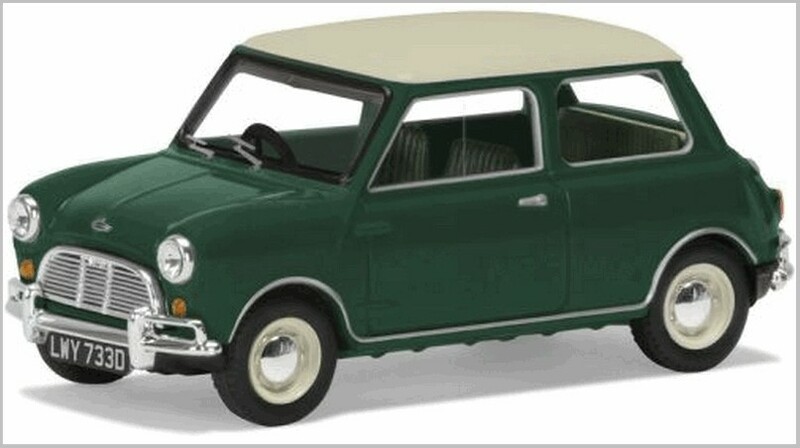 Here Corgi has created new liveries on castings which have already been seen in a variety of other liveries. 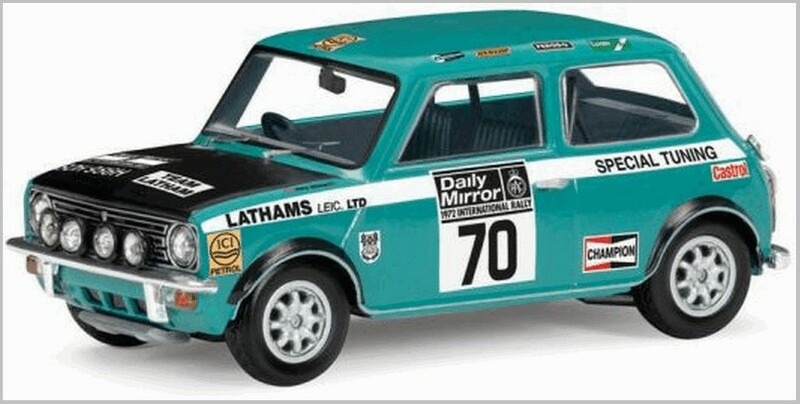 Whilst the liveries are undoubtedly attractive ones one wonders how many versions of the same casting Corgi can sell. 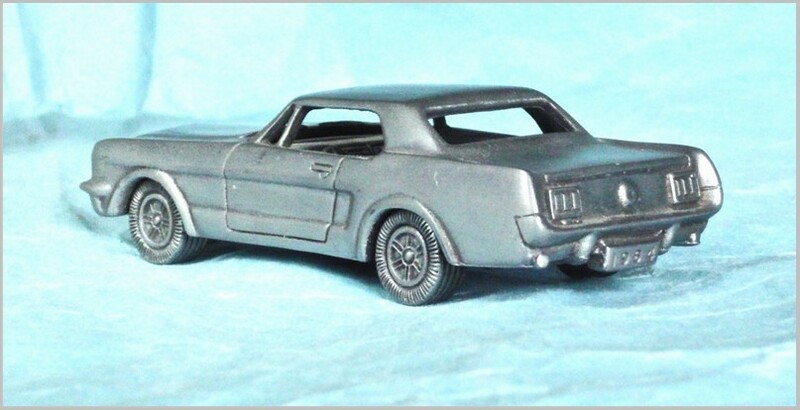 Looking on eBay many of the previous versions of these castings sell for considerably less than the latest models recommended price and only very popular and scarce ones attract a premium. Gilze – Rijen October 1940 – sadly the artwork from Hornby has a large watermark on it. 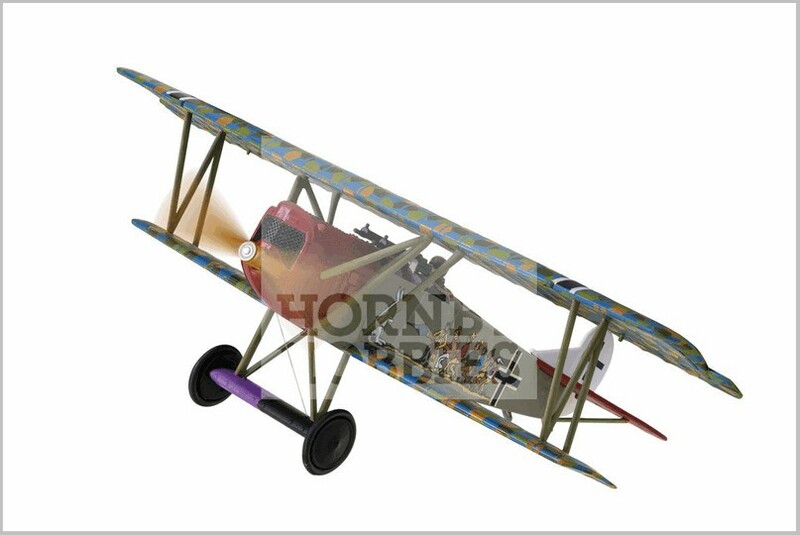 Sadly the artwork from Hornby has a large watermark on it. 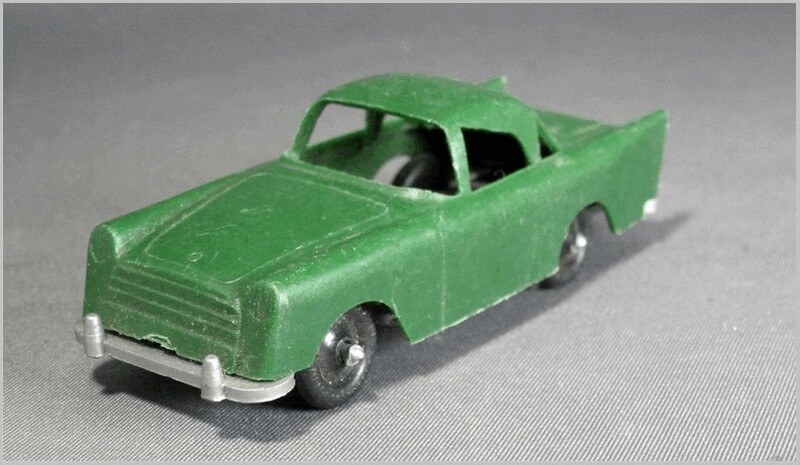 At the risk of repeating myself we are seeing the same small range of castings again and again in different colours. Whilst some of the new colours are quite eye catching and may well persuade people to buy another version of the model the market for yet more of the same must be shrinking. 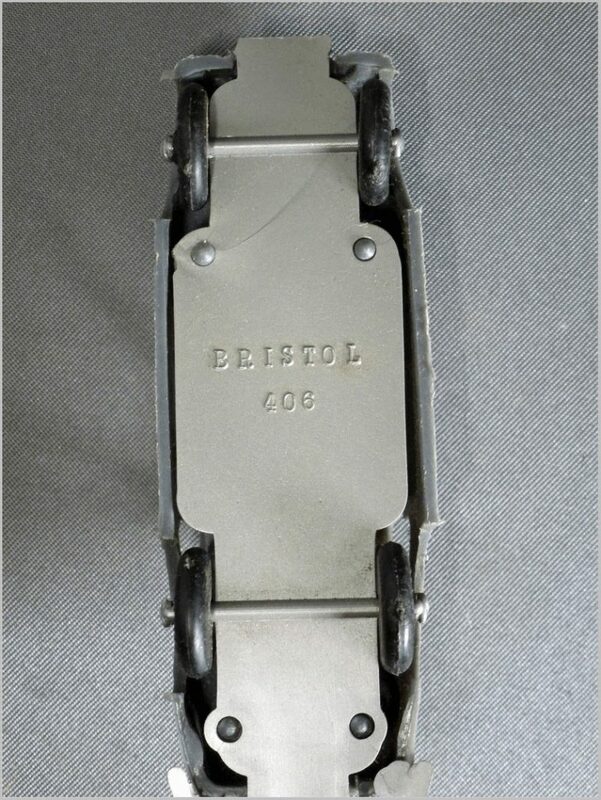 In many cases the castings are now looking old and basic. 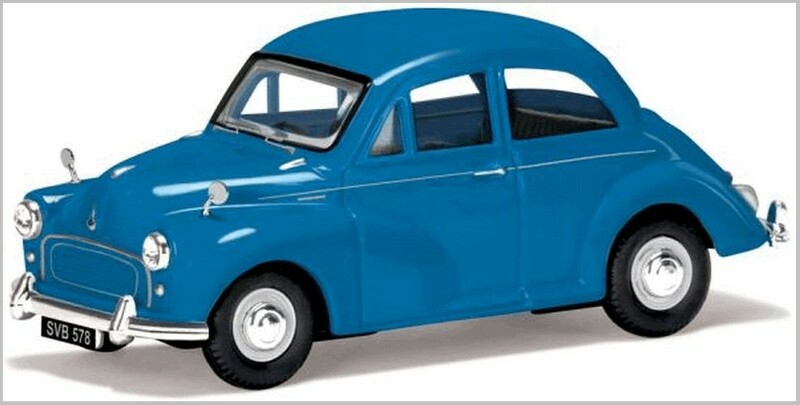 The Morris Minor for example has cast in window ventilators which are painted body colour, black printed line round the screen and a clumsy grille. Partwork models are superior to this in many cases. 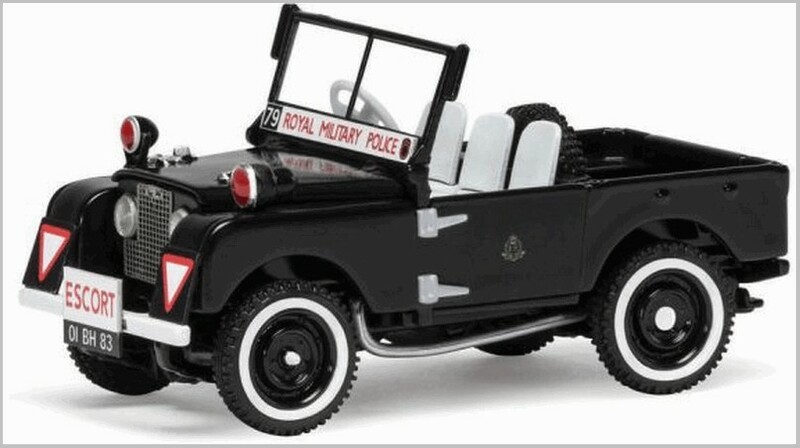 The Land Rover in Military Police livery is different and will I suspect be a popular release as will the 1275 Mini in Special Tuning livery. But taken as a whole the release is disappointing as it has been for about 3 years now. I hope that this is just a holding exercise before the new management re-launch Vanguards with some new castings. the United States in 1941. Since 1980, the candy coated chocolate candies have been sold across the world in more than 100 countries. 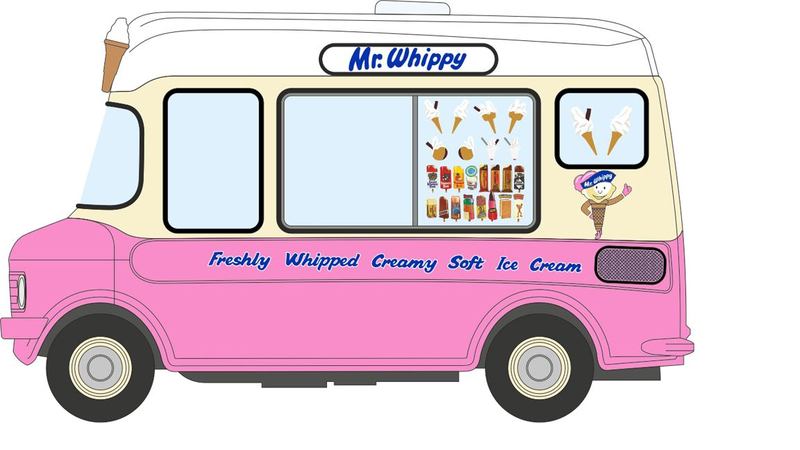 They are available in many different colors and in various flavors. 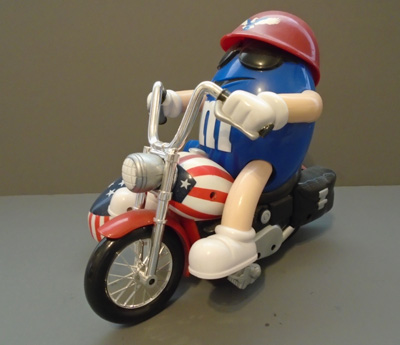 additional lines of merchandise produced under the M&M logo. 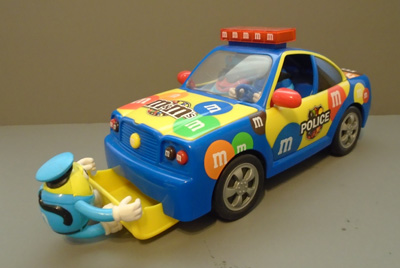 candy characters. 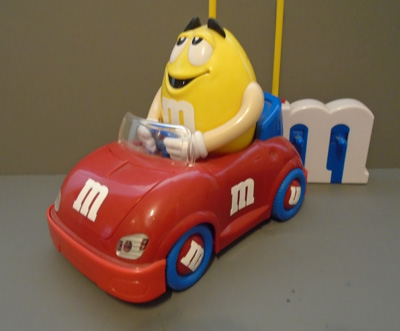 Now there are hundreds of plastic, plush and stuffed candy characters, candy dispensers, figures, lamps, candy dishes, clock, ornaments, jewellery, pins, toppers to name just a few. 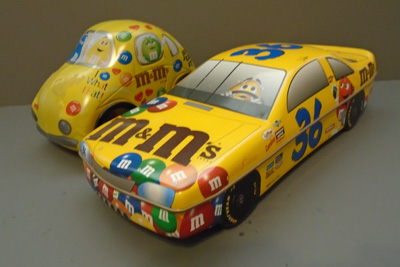 For the collectors of items produced under M&M logo, there is even the M&M Collectors Club, Mars Candy’s sponsorship of NASCAR race cars with the M&M logo has led to the licensing of M&M logo and M&M liveried die-cast, resin, slot and plastic model cars and kits. 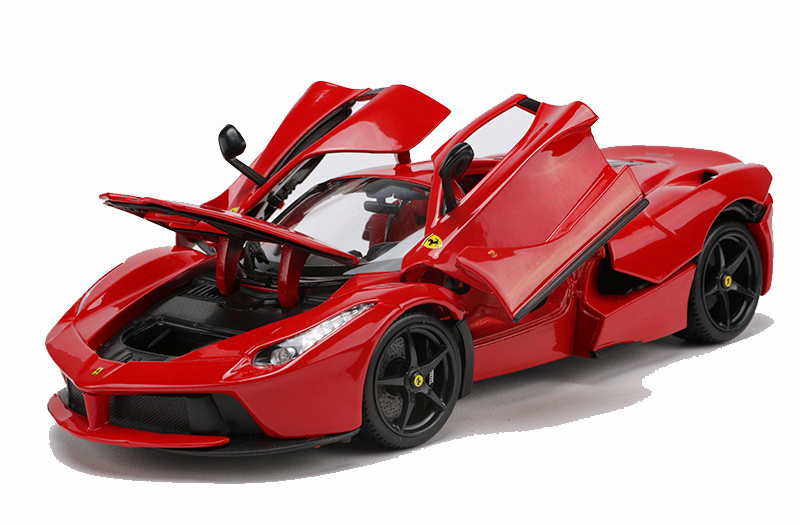 This is in addition to an already well established line of toy cars, trucks, fire engines, motorcycles and airplanes. 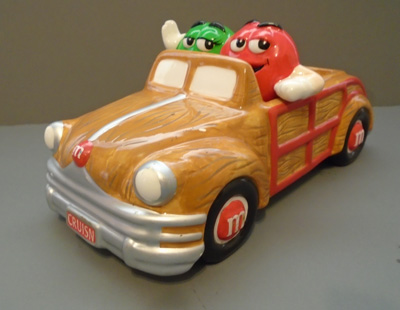 The six M&Ms personified spokes candy characters, the additional M&M lines of merchandise and, as well as, the toy cars have become popular collectables. 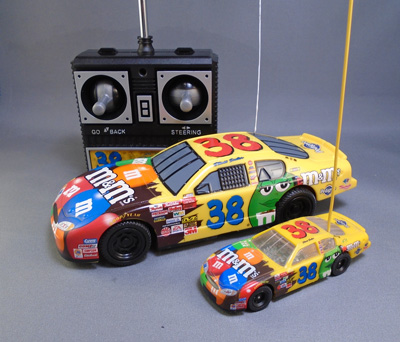 An interesting themed collection can be created from one or all of the following M&Ms model and toy cars. 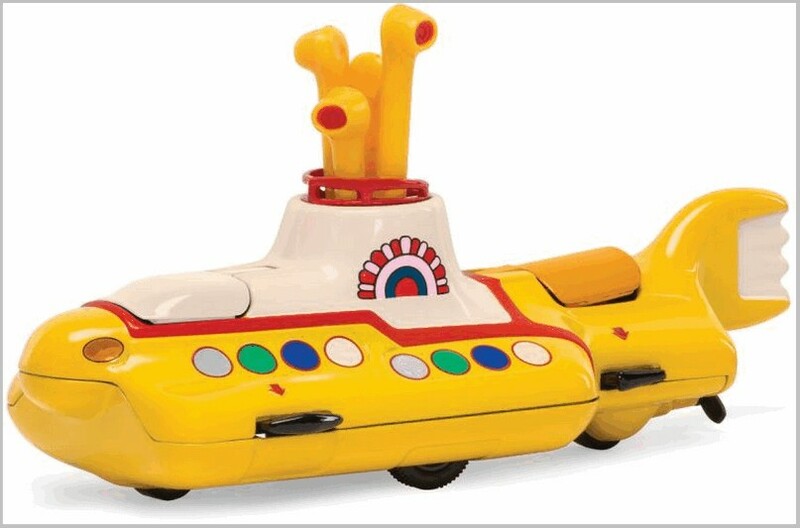 Runs on all slot racing tracks. Caramel 1:64 scale die-cast Toyota Camry. 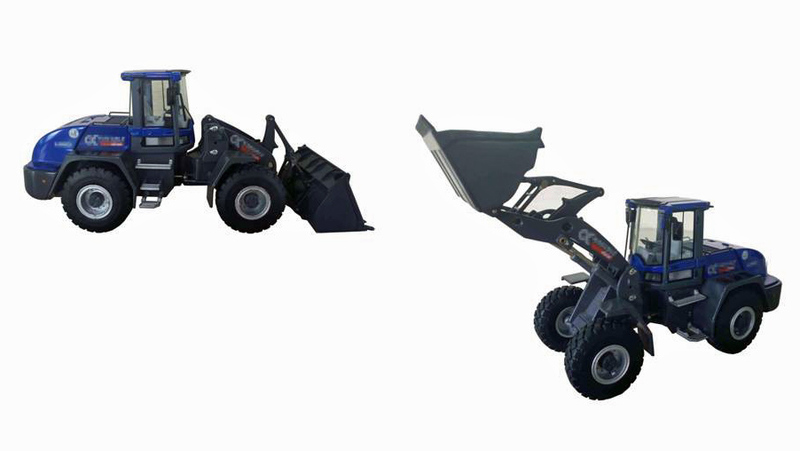 various loads and equipment, driven by M character. flashing lights on the roof. 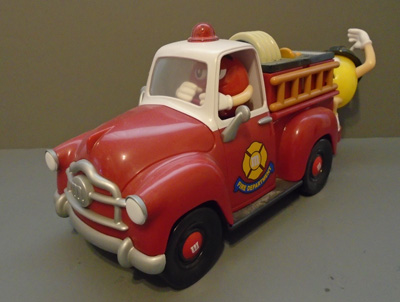 and blaring siren imitating the real fire engine sound. 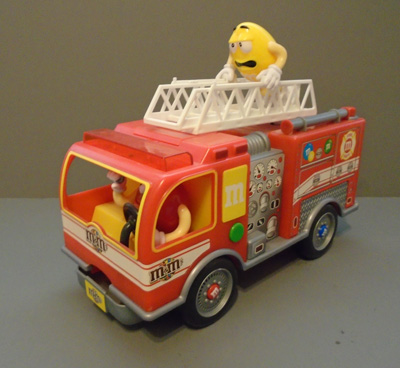 character is the driver with yellow aboard the ladder. 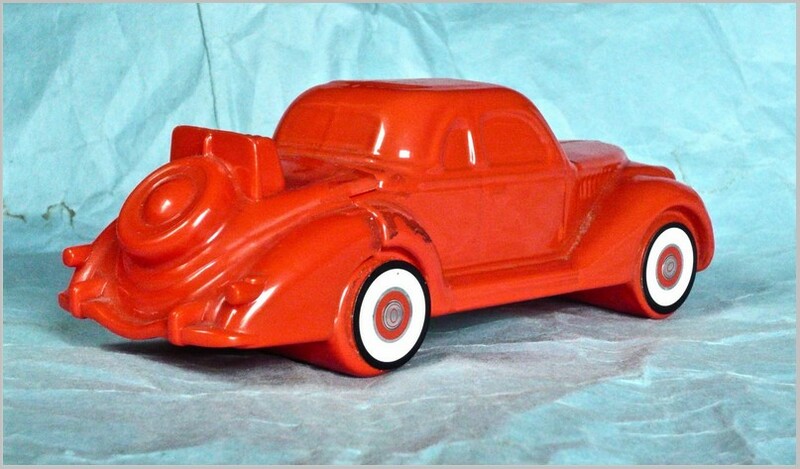 was also produced in red as a Christmas gift. with Yellow, in a firemans hat, on the back. Hot Rod. All driven by M characters. candy can. 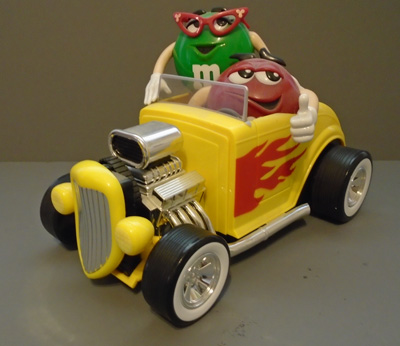 Metal was also used for the M&M‘s lunchboxes. character as a Patriotic Freedom Rider. (left/right). Unfortunately, the car isn’t particularly fast. Ed: With a challenge like a GM Avon Corvette how could a Ford man resist showing off the range of Ford products from Avon! 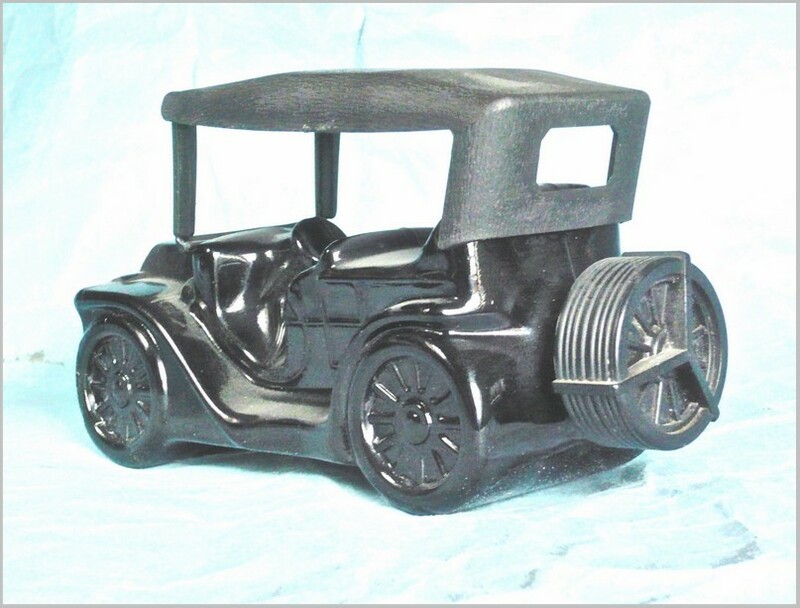 These were actually featured by Don Elliott in MAR 16 back in December 1985 and this black Model T produced in 1969/70 was described by him as a Touring T. Approximating to 1911 before the Tourer got doors for the driver the label under this calls it simply “Veteran Car” and it contained 180cc of “Windjammer” after shave. The part of the moulding that represents the steering wheel is centrally located while based on the wheelbase it scales out to around 1:25. An extremely basic black plastic moulding represents the roof and front screen frame while the stopper is the spare wheel cover on the tail. This same casting was issued again in 1978 exactly the same but this time finished in silver and was illustrated in MAR 18. 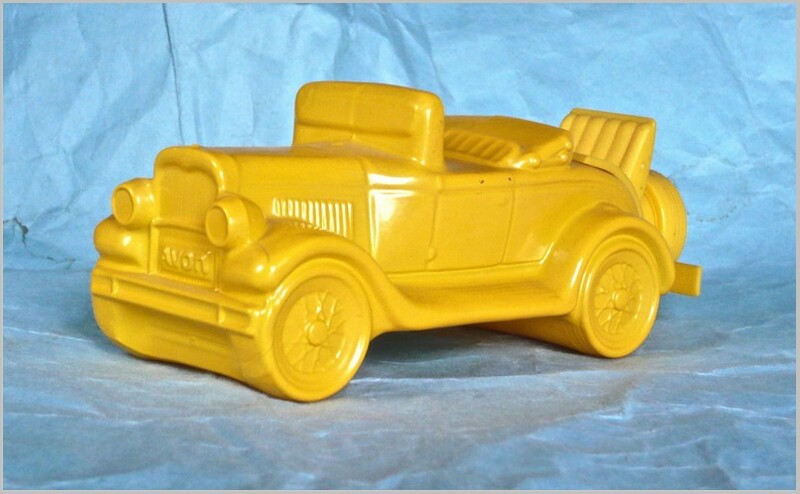 In MAR 17 a further but slightly later Model T was illustrated and was issued by Avon in 1973 called “Country Vendor”. 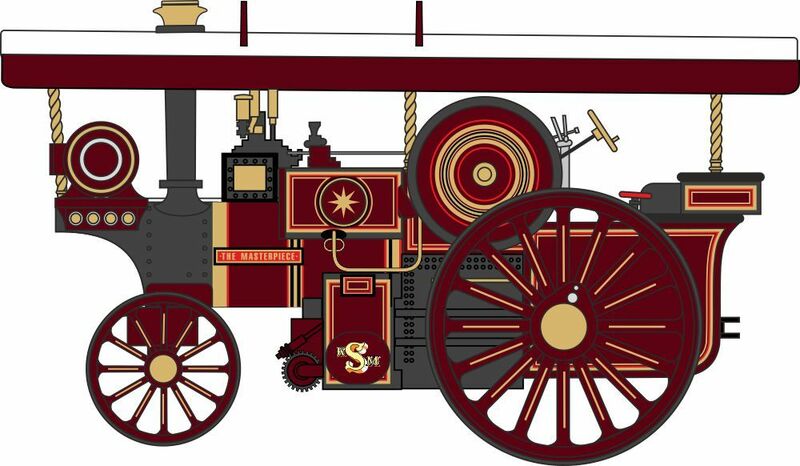 This represented an open sided van that was often called an express in 1921, from which produce etc was displayed and sold. Most of the upper body on this decanter was a plastic mounding. Going back to MAR 16 in which Avons 1930 Model A Roadster was illustrated although Don described it as 1928. The flat topped and tall hood would suggest that it is a ’30. 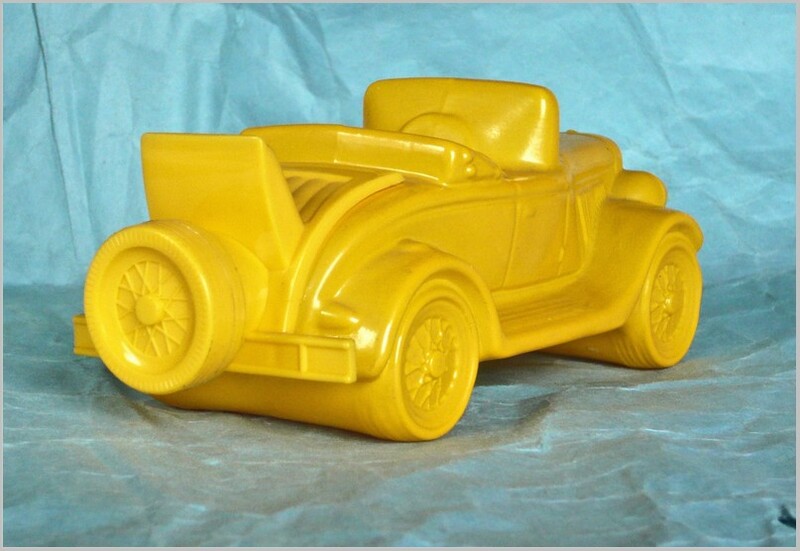 Once again this contained “Windjammer” after shave (120cc) the stopper being located inside the plastic rumble seat/spare wheel moulding. 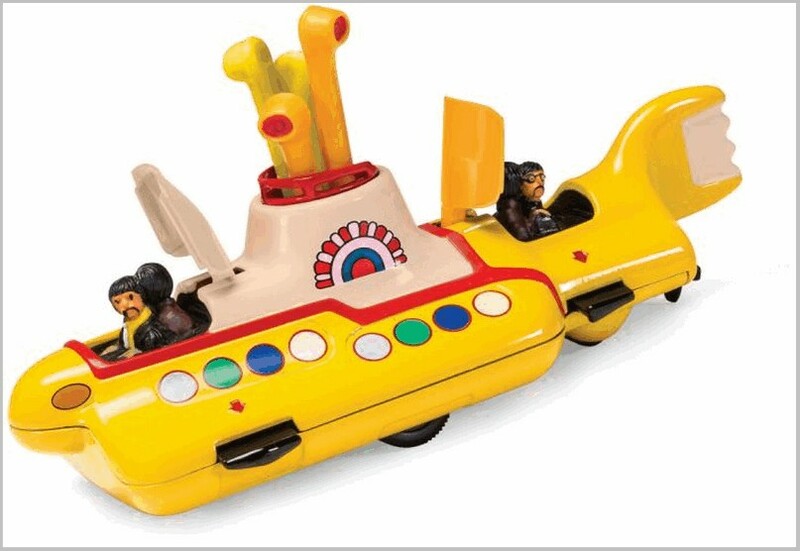 These were issued by Avon 1972-74. Again using the wheelbase as a guide this is slightly smaller than the T being closer to 1:29. 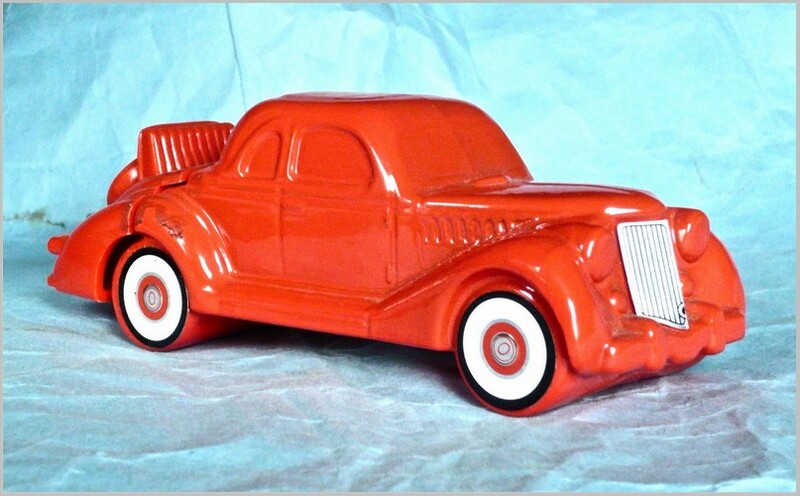 Produced 1976/7, Avon issued a 1936 Five Window Coupe in around 1:28 scale containing “Oland” aftershave this time measured as 5 fluid oz. A plastic complete rear end hides the stopper in this case while stick-on labels represent the grille and wheels. 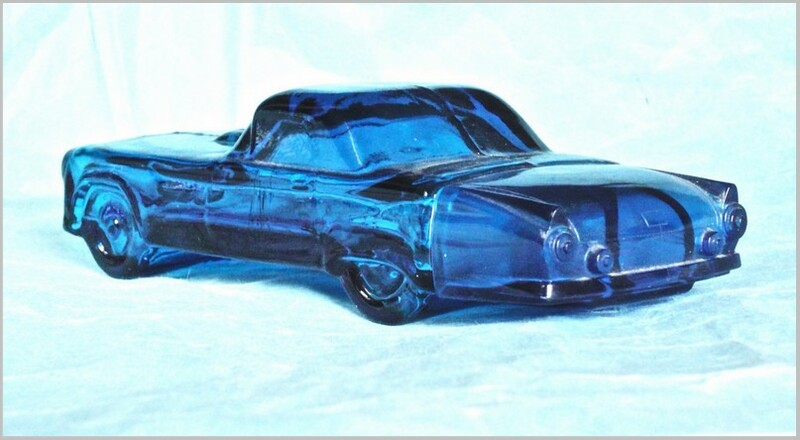 A smaller size of decanter began with a 1955 Thunderbird hardtop for 1974/75 containing just 2 fluid oz of “Wild Country” after shave. 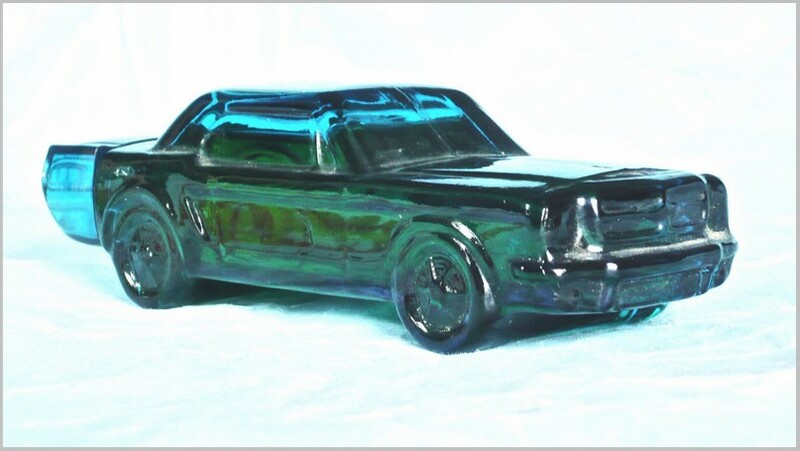 This works out at around 1:34 scale and was followed for 1976-78 by a 1964 Mustang Coupe in which was 2 fluid oz of “Tai Winds” aftershave, this container working out to 1:38. 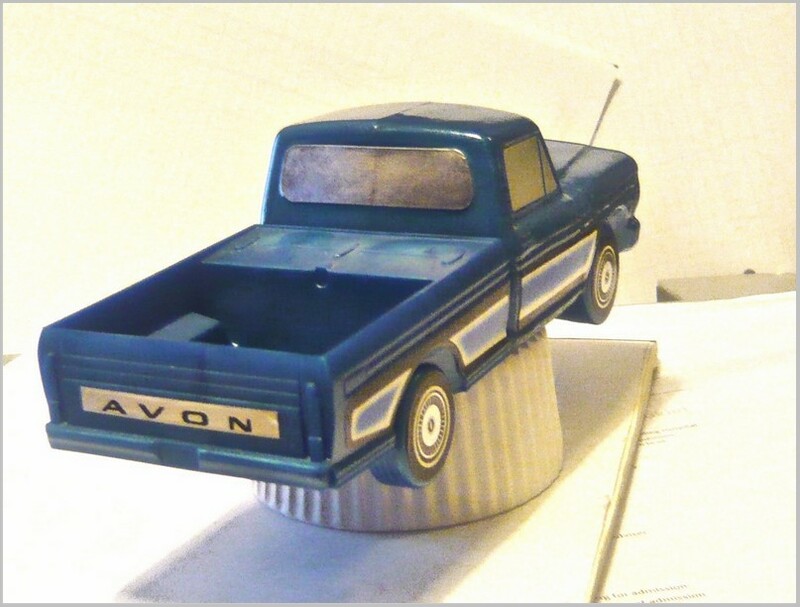 The most recent Ford so far found as an Avon decanter is the F Series pick up in Ranger package form that was issued for 1972-74 as a Camper with a plastic camper body that dispensed talcum in addition to the 5 fluid oz. of “Wild Country” aftershave in the cab section. The grille, windows, wheels and striping are in the form of stick-on labels although the grille pattern appears to combine a mixture of the ’71 and ’73 details. For 1978/9 this was issued once again but without the camper top. 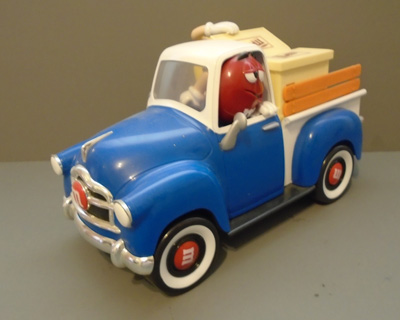 The entire pick up body aft of the cab is a plastic moulding concealing the stopper. As for the scale, assuming we have a ’73 F250 it is around 1:31. 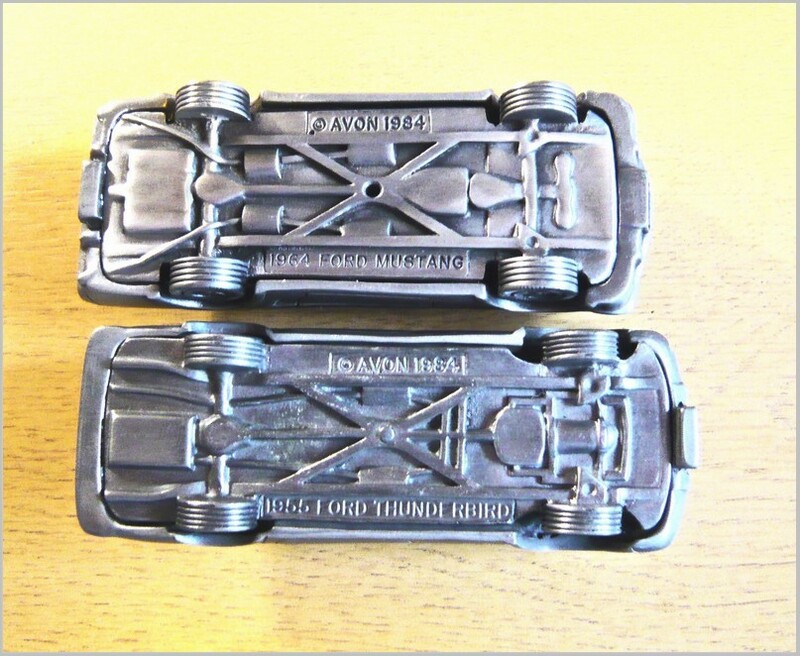 While on the Avon theme, a couple of Fords came in their 1984 pewter collection. 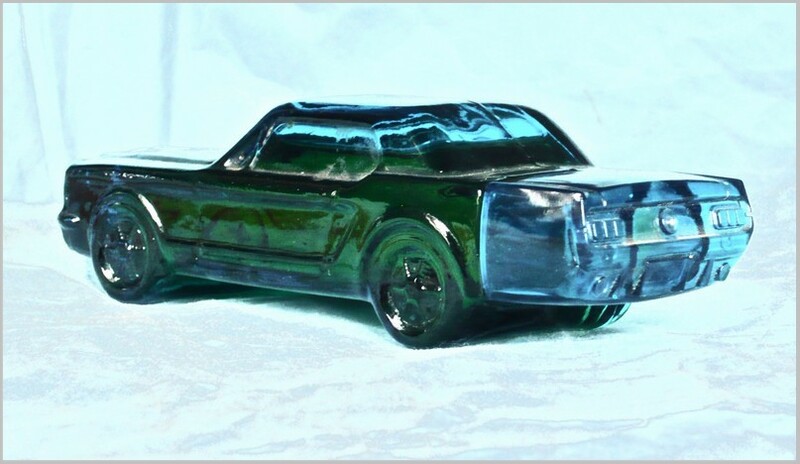 These took the form of rather poorly proportioned 1955 Thunderbird Hardtop and 1964 Mustang Coupe, the same as their decanters. The Thunderbird especially is obviously far too narrow in relation to its length the Mustang a trifle less so, both have rather ‘lowline’ roofs and are extremely heavy! 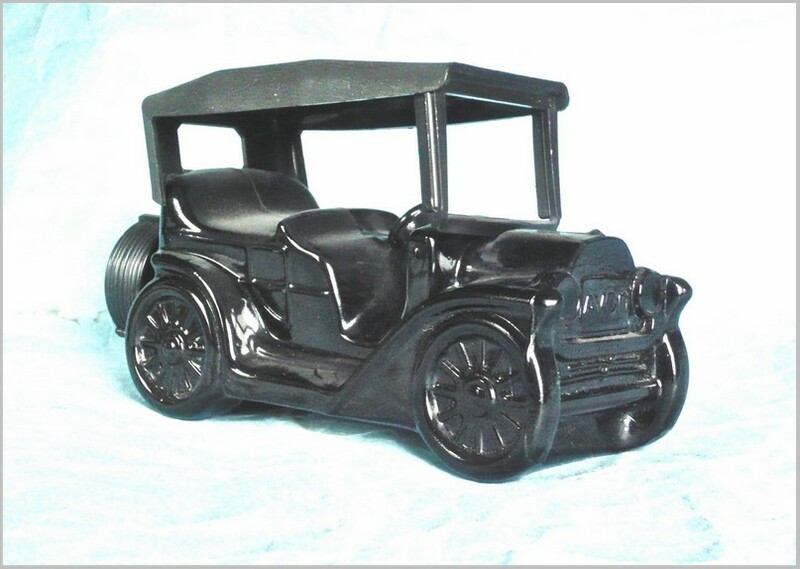 1 and 2 Avon 1:29 ceramic decanter: 1930 Model A Roadster. 15 Avon Thunderbird and Mustang underside. Except where otherwise acknowledged all pictures are by the Author. 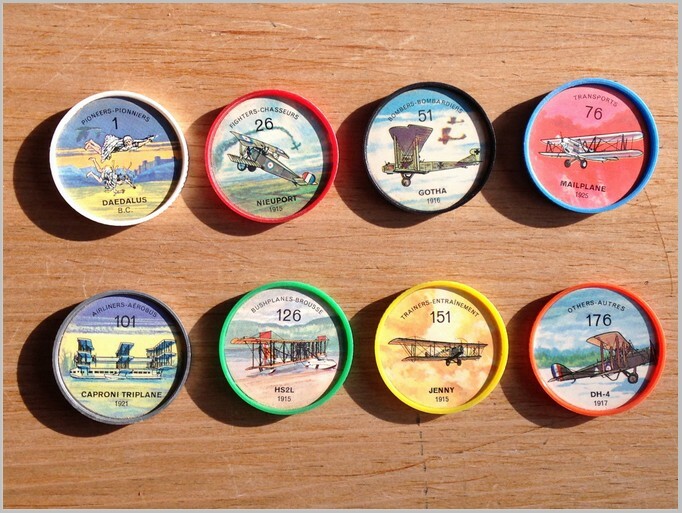 In January 2018, I wrote an article on General Foods Canada “Famous Car Picture Wheels” and mentioned that there was a second series of coins produced perhaps a year or two later – “Famous Aircraft of the World.” This series must have been produced in 1962 or 1963, as the last entries in the series are the De Havilland Trident and John Glenn’s Friendship 7 Mercury Capsule, both from 1962 (Glenn was the first US Astronaut to orbit the earth in Feb 1962). 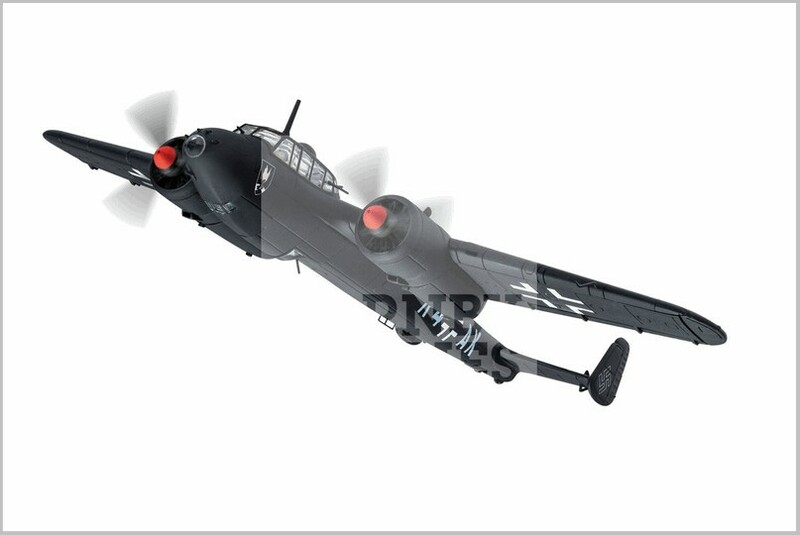 The main difference with the aircraft series is that they are organized by role rather than era. 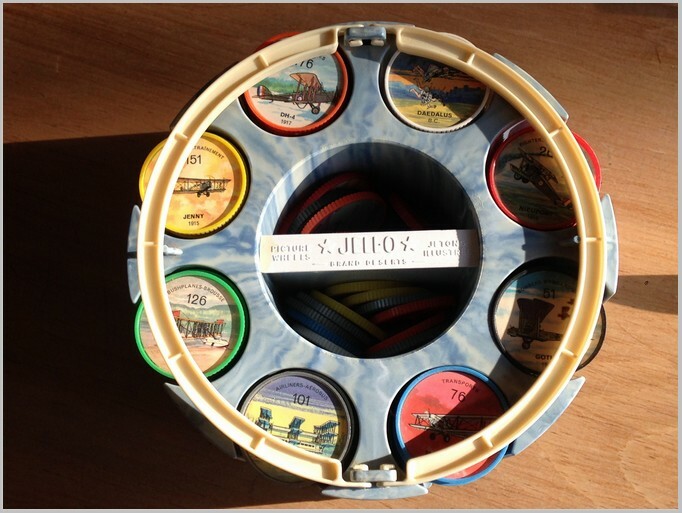 The photos clearly show the roles represented, with role exceptions being the first 25 coins, called “Pioneers” which includes a bit of Greek mythology, and the final 25, called “Others” which includes missiles, gyroplanes and hovercraft. There are only a few helicopters that appear in the “Transports” section, but I’m surprised they didn’t warrant their own section. The booklet was compiled and written by James A. Hornick, a noted Canadian Aviation journalist at the time. Illustrations were done by Don Watt. 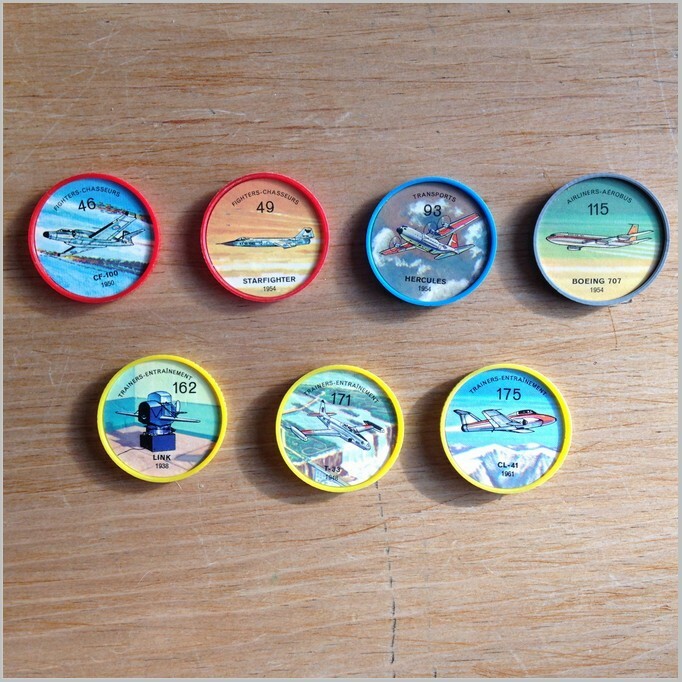 The back of the Aircraft coins includes the Hostess (Chips) brand name, which was missing from the Car wheels (see photo in my earlier article). 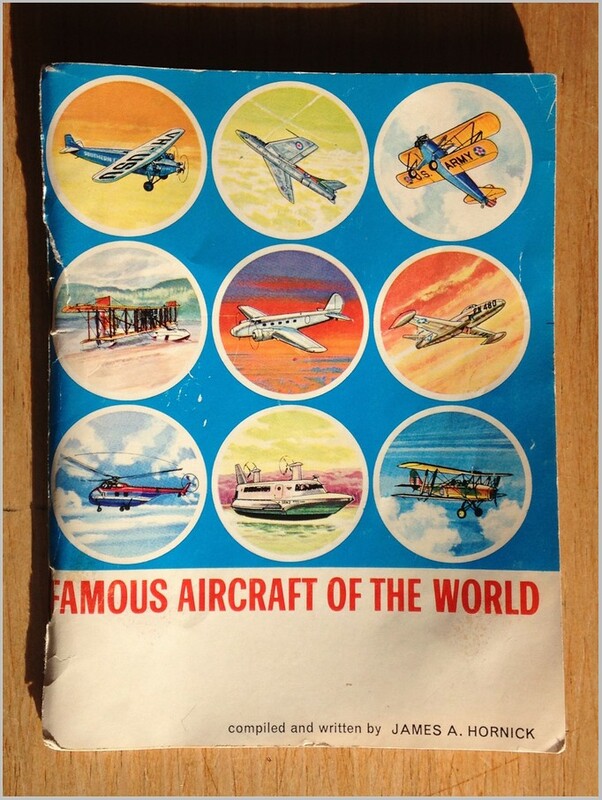 So this is another great little bit of nostalgic collectability from the 60s. If you are interested in seeing more coins you can “Google” “famous aircraft of the world jello coins” and look for the Google images. Who would have known back in 1962 or 1963 when the author was 12 that he would serve in the Canadian Air Force for his whole career, and among others, fly each type shown here. The Link Trainer was in use when I went through pilot selection in Toronto in 1973. I’d like to say that these coins provided inspiration for my later career, but they had been in storage and forgotten in my parents attic for years when I joined the Air Force.